Universities experiment in different scales to teach their students the interaction between construction, function and design. But mostly these experiments stay in a scale between 1:50 to 1:200, so the size of office tables. Only rarely they go out of their Ateliers into a human/urban scale. This also comes because of economical and practical restrictions. One of the major critics against architectural educational institutions is the inability to handle the pragmatic aspects of construction. Exercises in construction are an ideal opportunity to learn in a practical sense, but without losing the focus on design. New Materials, that are foreign to architecture until now and new ways of constructing can be achieved through reconstructing, experimenting and analysing old methods. This Paper is primarily focussed on the analysis of existing laboratories for education and research, who are already experimenting in a big scale. Building up on this analysis we will establish a catalog of needed functions and characteristics, which such a room for experimenting in a big scale needs to fulfil. How can such a laboratory be planned? How can universities work together and share their resources? In the chapter permanent laboratories we analyse already existing laboratories for education and research with a focus point on construction, which are installed at a fixed location. 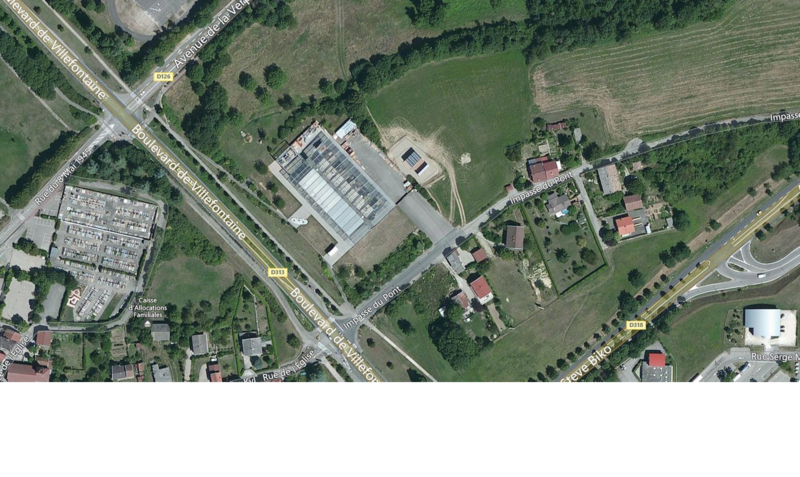 The largest part of the analysis deals with the GAIA (Les Grands Ateliers de L´Isle d´Abeau). Further Analysis deals with the Autodesk Pier 9 in the San Francisco Bay, USA. Following this, we will analyse temporary laboratories, which also experiment in the field of architecture in a scale of 1:1. 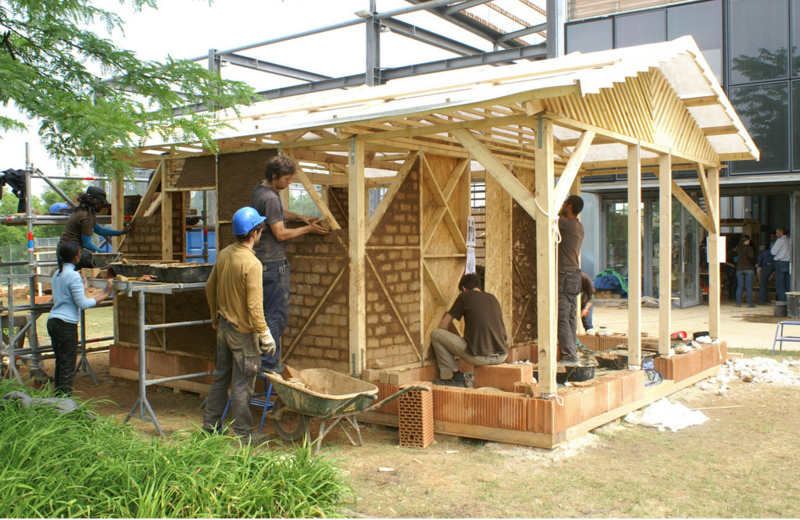 Examples are the EASA (European Architecture Student Assembly) and Bellastock in France. This study subjects will be analysed in terms of origination, their primary purpose, their context and their connections with the sociocultural surroundings, their activities, their equipment, staff size and their philosophy in the area of diffusion and publication of their activities. Following this we will work on requirements of such an institution in Austria, which should work as an analogy to the GAIA. Findings of the analysis of the other laboratories will also be taken in account. 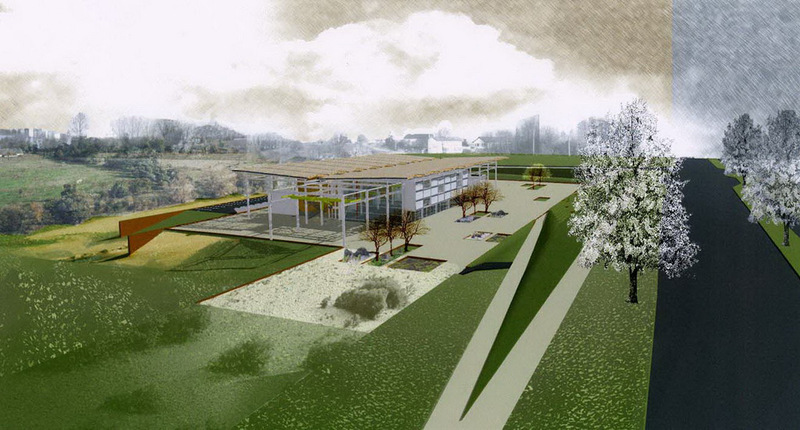 Finally we will work out a design, how such a laboratory for education and research can be established in the East of Austria. We will construct a hypothesis, that multiple universities with studies in architecture, art and civil engineering in Graz and Vienna want to establish such laboratory to fortify their cooperation and share their resources. Furthermore we will suggest possibilities, how these institutions can enrich their sociocultural surroundings. This Paper concentrates on the analysis of existing laboratories and the possibility of an analogy in Austria, as also the question how such an institution can influence architecture and what value such a laboratory would have for universities and its location. 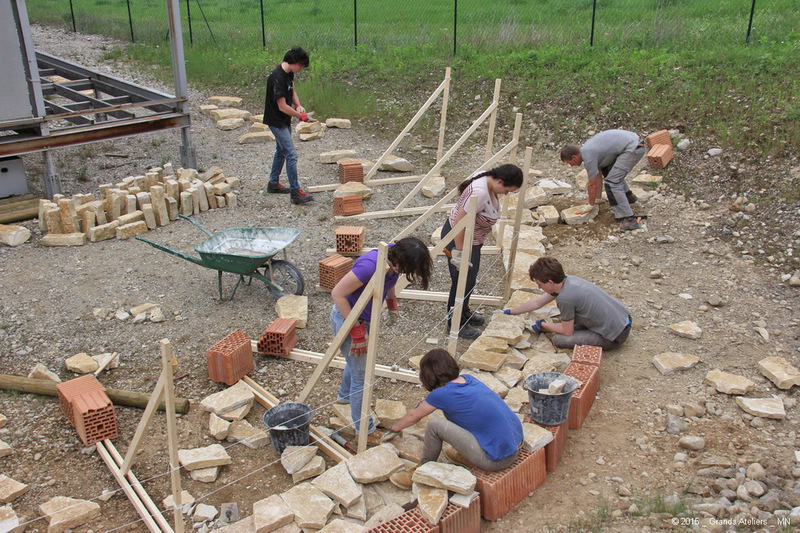 In 2009, the European Association for Architectural Education (EAAE), in collaboration with the European Network of Heads of Schools of Architecture (ENHSA), hosted a three-day symposium titled Architectural Design and Construction Education – Experimentation towards Integration, to tackle the issues of implementing engagement in constructive experiments in teaching. Numerous delegations of European architecture faculties were present, which, among other things, offered an insight into how their universities dealt with the topic of construction. The transcript of these discussions was published in an anthology in 2010. It states that the current European educational system of architecture has been designed in recent decades with a steadily increasing number of modules, but at the same time, the connections between them were weakened resulting in no continuity of the teaching content. Today, the challenge of architectural education is the reunification of the Vitruvian principles, not through the fusion of all teaching modules, but through cooperative and interactive activities in teaching. During the symposium, no fundamental distinction was made between the standards of construction experiments. However, some contributions to the discussion show that certain faculties have found that a greater sense of scale, as well as the direct handling of materials and their composition, to be essential, and have implemented this in the curriculum, mainly through design exercises. The pure imagination of an architect is not infinite. In building projects, facade parts are pre-built to show clients how the building will look in reality later. New and unfamiliar materials, as well as new forms of construction are found by replicating and analyzing old architectural forms and experimenting with them. Thus, to offer students and research institutes at universities a chance to experiment on a large scale, there is a need for premises that can accommodate these large-scale functions and fulfil specific requirements tailored to the teaching and research operations of a university. Thus, it is also in the interest of a university to enable the students, who later may also become researchers in their area, to simulate the architectural process, from the first freehand sketches to team design adjustments to the realization of the architectural form: an experience that is rarely possible in the current university context. It may even be argued that this is the only way to give students a complete understanding of the integrity of the architectural process. As in the case of Graz University of Technology, the expansion of space for European universities in urban areas is coming to an end, and large sums are being invested annually in rents and the associated resettlement and adaptation costs. However, these costs are not proprietary and can not sustainably expand the teaching and research operations, but rather provide a means to control the spatial situation. It is in the interest of universities and their teachers, researchers and students to seek more sustainable solutions in the longer term, both in economic and qualitative, as well as in representative terms. The important topics for a university are not only the economic and qualitative aspects of teaching and research, but also the public relations, the dissemination of knowledge, and, in our case, architectural communication. Universities are heavily dependent on publication and innovation to gain the best rankings in the worldwide competition for recognition, funds and students. 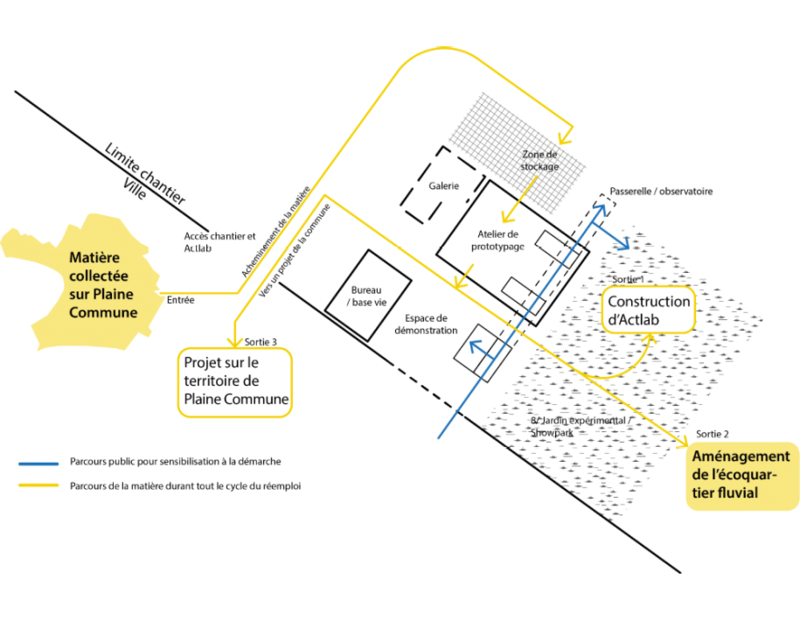 This work is primarily concerned with the analysis of existing teaching and research laboratories, which are already working, teaching and experimenting on a large scale, especially the French GAIA ( Les Grands Ateliers de l’Isle d’Abeau ). Based on this, a catalog of requirements is to be created for the required functions and properties that such a space of experimenting with large constructions must fulfil. How can such a teaching and research laboratory be brought about? What are the framework conditions? How can universities and teaching and research institutes share resources? In order to explore these questions, the sometimes very special genesis stories of GAIA and other laboratories are studied in order to find suggestions for their realization in Austria. The current state in the Austrian landscape of educational institutions is that every institution builds its own self-contained structure which it develops. The final result is that there are laboratories and workshops at a small distance from each other that do not fully exploit their potential. Here it would be interesting to seek cooperation both through the sharing of tools and through the exchange of knowledge. Not only would this result in an economic benefit by eliminating unnecessary procurement of machinery and foreign knowledge, it would also bring about changes in thinking about architecture. Using examples, this thesis examines how this already works elsewhere, and suggests at the end of the work what an Austrian example might look like. This work lists 16 public and 2 private universities as well as 13 universities of applied sciences in Austria, which offer suitable fields of study (architecture, engineering, art), in order to be considered for such a cooperation without considering the distances to each other. The work is divided into two main chapters: “Analysis” and “Design”. The chapter “Analysis” is in turn divided into the following chapters: “Permanent laboratories”, “Temporary laboratories” and the “Summary analysis”. In the chapter “Permanent Laboratories”, a detailed analysis of existing fixed-site research and teaching centers focusing on construction will be carried out. Most of this analysis deals with the institution GAIA, an association of several universities and interest groups based in L’Isle d’Abeau, France. 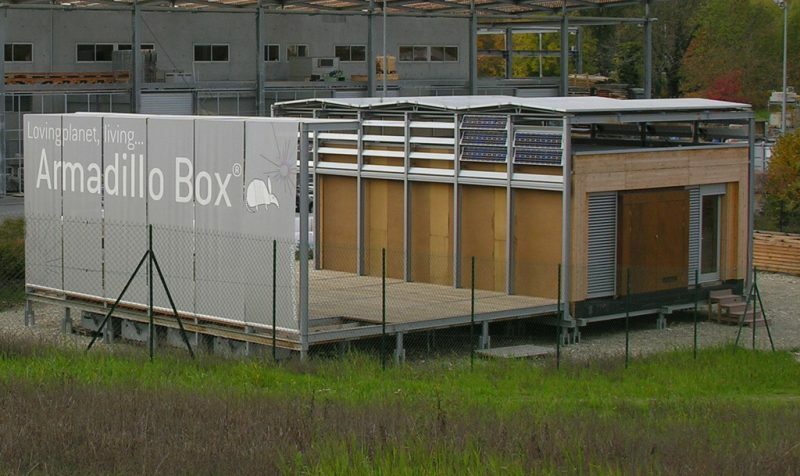 It also highlights the activities of the laboratory, including participation in the Solar Decathlon 2012 with the Canopea project, in which I was instrumental. Further investigations focus on Autodesk Pier 9, San Francisco Bay, USA. 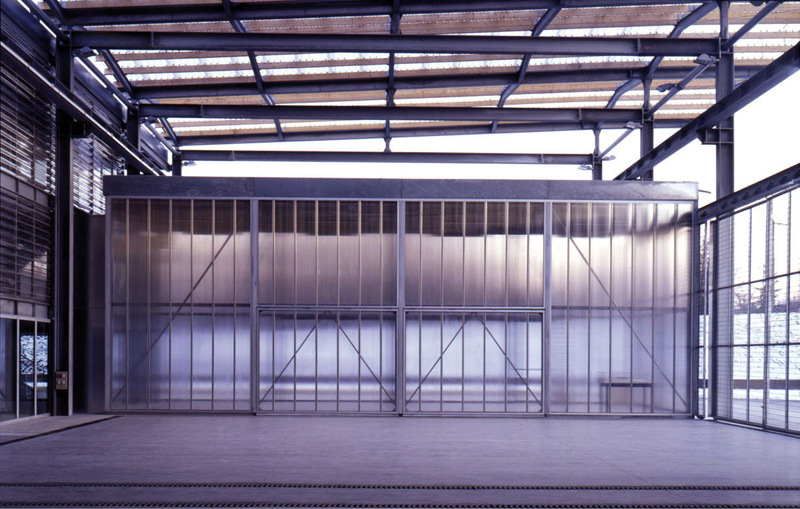 This is followed by examples of temporary laboratories in which architectural forms were also produced on a 1: 1 scale. Examples are the EASA (European Architecture Student Assembly) and Bellastock, France. The analysis section of this thesis examines the origin of this laboratory, its primary purpose, its context and its connection with the sociocultural environment, as well as its activities, facilities, location (in particular with regard to its connection to educational institutions), personnel size, and its philosophy in the field of the publishing and dissemination of its activities. Building on this, a set of requirements will be developed, which a teaching and research laboratory could fulfil in analogy to GAIA in Austria, in order to achieve a similar functionality. The findings and advantages of the other laboratories analyzed are also considered and demonstrated. 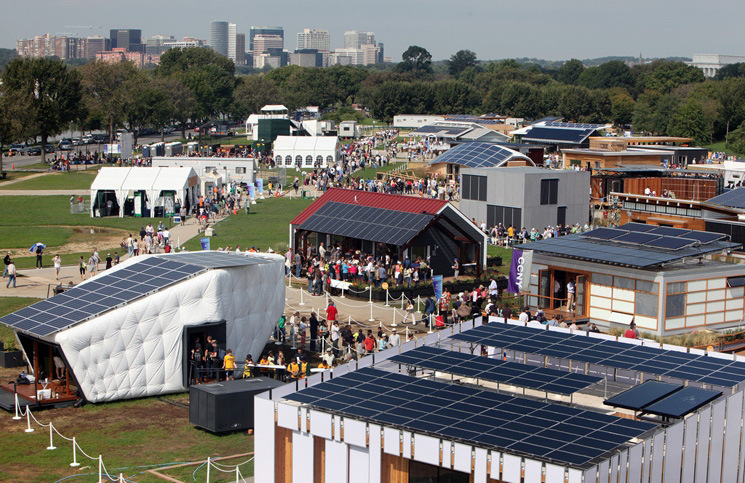 The work relies heavily on literature studies and my personal experience as I have worked in both the GAIA Laboratory for the Solar Decathlon 2012, EASA, 2014 Edition, and Bellastock, 2011 Edition. In addition, interviews have been conducted and site visits made. 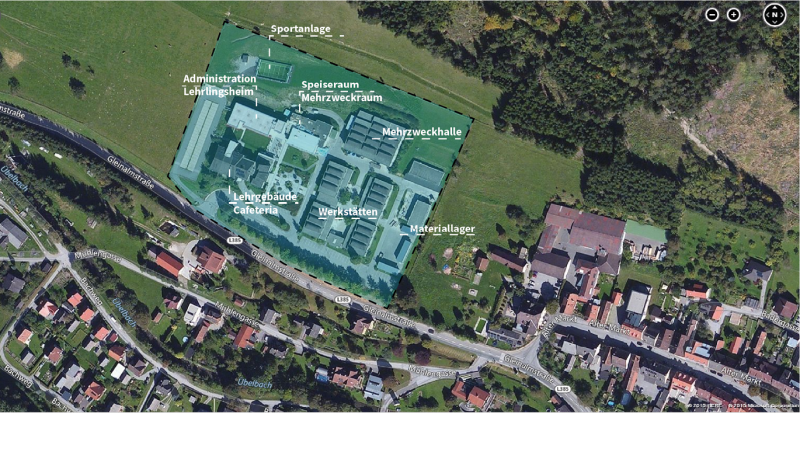 Finally, a draft is worked out of how such a teaching and research laboratory could be developed in the eastern part of Austria. It is hypothetically assumed that several educational institutions of architecture, the arts and engineering in the vicinity of Graz and Vienna would like to jointly build such a laboratory in order to strengthen their cooperation and to share resources. Based on the analysis and catalog of requirements developed in this work, an attempt is made to find a suitable location. For this purpose, a program code is developed in order to limit the possible locations by means of accessibility, analysis and the interpolation method. It then suggests ways in which the institution can enrich the region in a socio-cultural sense. Thus, the work focuses on both the analysis of existing institutions and the possibility of a parallel in Austria, as well as on how such a facility could influence today’s architecture, and what value it would have for universities, educational institutions and the location. The question of what the curriculum and organization of an architectural educational institution can or must look like is not considered in this work, since the topic of the integration of different knowledge fields in design exercises is today one of the most complex problems of architectural education, and exceeds the scope of this work. (5) Also, no concrete architectural design for such a teaching and research laboratory is being prepared. Rather, a reference book for educational institutions and a discourse on the future of constructive teaching should be developed. An inventory analysis of laboratories and their equipment in Austria’s existing educational institutions is also not taken into consideration, since this could change in the shortest possible time due to factors such as new acquisitions, and thus no clear statement can be made with relevance to this work. 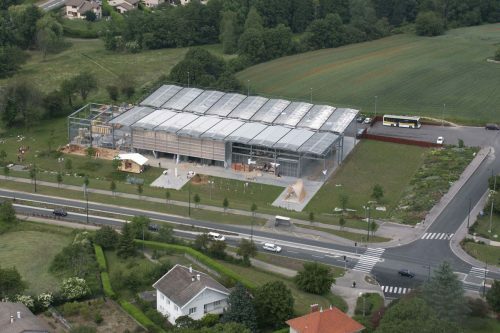 The façade area of ​​the Grande Halle is characterized by a suspended tertiary building shell made of glass elements, behind which emergency blankets were stretched. These fulfil the task of sun protection and, by affixing to the inside of the curtain wall construction, make it possible to heat up the interior (Fig. 13). This serves as an air reservoir to deliver the heat energy stored during the day evenly to the interior at night and in winter. This form of architecture already shows in its construction the experimentation with extraordinary materials and by itself already fulfils a part of the pedagogy of alternative building. The ground floor zone can be opened completely to the outside (Fig. 14). On the southeast side, the main entrance of the building presents itself as rather reserved. The multifunctional room can be opened on this side for exhibitions (Fig. 15). 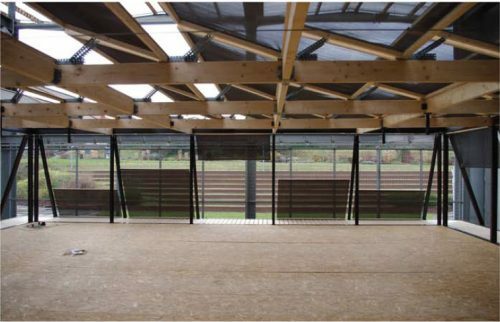 Inside, the polycarbonate and OSB wall cladding gives the building a rustic semi-finished character, yet it exudes an extraordinary aesthetic through the careful blending of materials (Figure 16). All in all, the building is a sophisticated yet rational construction that places great emphasis on light, insight and efficiency. The budget of three million euros was clearly handled with care and specific accentuations were set. 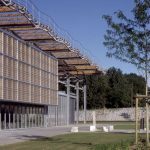 In 2011, France was once again able to qualify in a joint venture between ENSAG ( Ecole Nationale Supérieure d ‘Architecture de Grenoble ) and ENSAL ( Ecole Nationale Supérieure d’ Architecture de Lyon ). 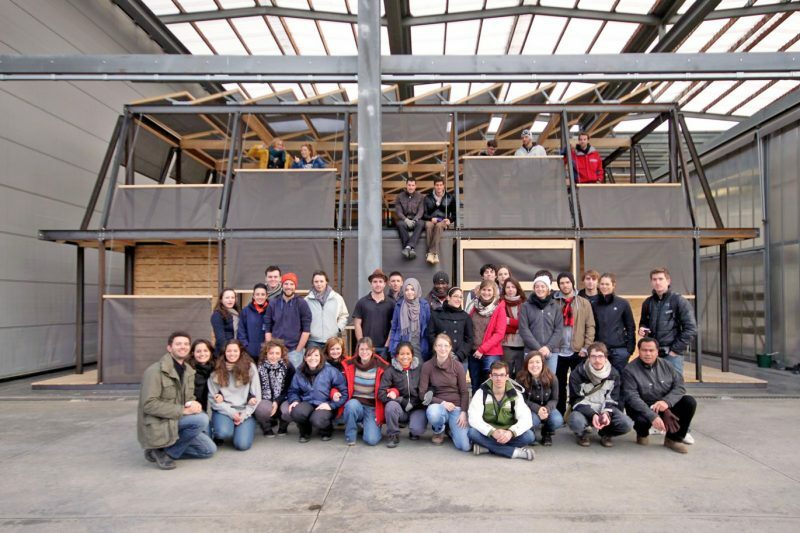 Their project Canopea won the second European Solar Decathlon in 2012. Both prototypes were created in collaboration with the ENSAG and ENSAL Master Programs in GAIA and the final product was prefabricated for use in Madrid. I also participated in the Canopea project during my Erasmus exchange in the academic year 2011-2012. I was part of a project exercise at the institute AACC – Architecture, ambiances et cultures constructives, whose goal was to develop and implement a prototype of the project on a 1: 1 scale. 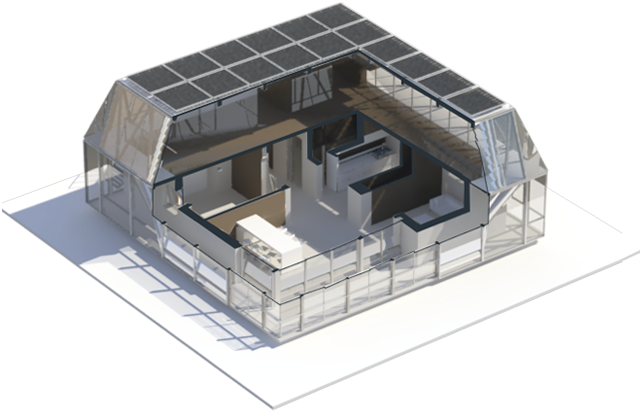 In 2013, the Vienna University of Technology won the US Solar Decathlon competition with its LISI project. The first task, which was given to the students of the ENSAL ( Ecole Nationale Supérieure d ‘Architecture de Lyon ), was the development of a draft for a building made of wood and steel, of 10x10m and 6m height, which addressed the themes of ecological living, environmental friendliness and energy autonomy. The students were divided into teams of five and had to present a finished design within three days. A team (of which I was a member) was then chosen as the winner, with our Ribbon House project and, together with the other students, had to develop this project within two days in such a way that it also included the advantages of the other designs created. The students of ENSAG ( Ecole Nationale Supérieure d ‘Architecture de Grenoble ) were given the same task, resulting in two buildings, which were then built in a one-week seminar in the laboratories of the Grands Ateliers de l’Isle d’Abeau (GAIA) on a scale of 1: 1 (Fig. 24). This was also the time of the first meeting between the students of the two universities (Fig. 25). 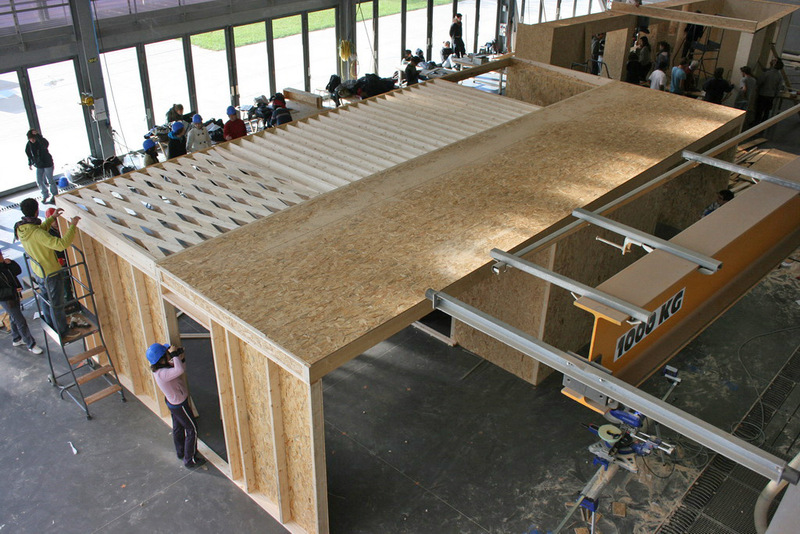 During the seminar week, both buildings were erected and then dismantled to reuse the materials (Fig. 26). During this time, students were accommodated in a hostel specially set up for GAIA and the local vocational school. The goals of the task were the intensive examination of the aforementioned topics, as well as the materials of wood and steel; getting to know the laboratory GAIA, its tools and its staff; as well as team building between the two universities. 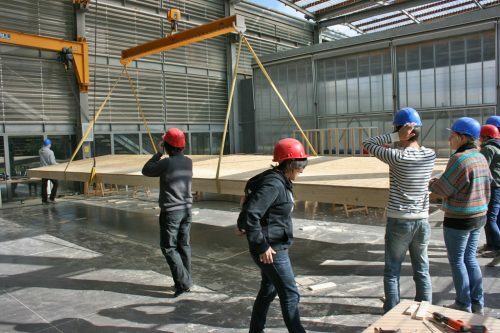 This was followed by field trips to improve exchanges between the two universities, joint lectures and the presentation of the Canopea project by the students of the previous year, who qualified for the Solar Decathlon 2012 through the international competition (Fig. 27, Fig. 28). 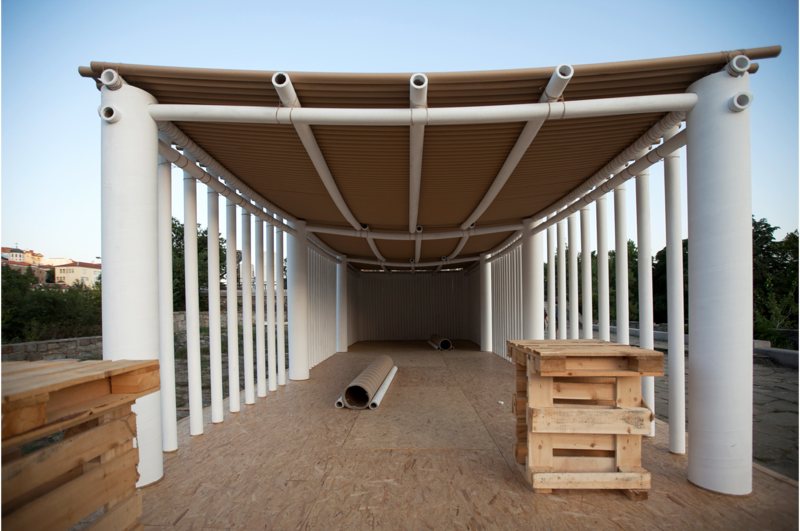 The aim of the second module was to detail and implement a prototype of the building on a scale of 1: 1. The students of the universities then worked together for another five days on work plans, material lists, cost estimates, construction schedules and details. 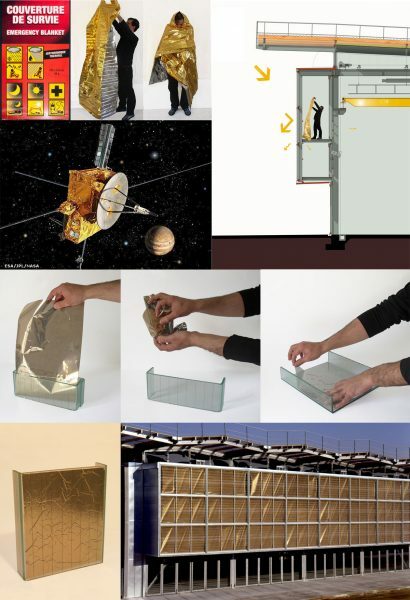 For example, a replacement for solar modules made of wood and fabric was designed and fabric lamellae used as sunscreen replacement for later-quality metal lamellae (Fig. 29). The budget for this prototype was roughly 12000 €.The students then went to the GAIA Laboratory for a second time for eight days to realize their planned prototype (Fig. 30). In teams of two to ten people, the individual elements were prefabricated and later assembled (Fig. 31, Fig. 32). As on a construction site, a local construction supervisor took over the organization, problem solving and documentation from five students. The aim of this prototype was the early detection of problems in the prefabrication of the final building, learning to handle wood and steel, and the discovery of new ideas and solutions by the students. 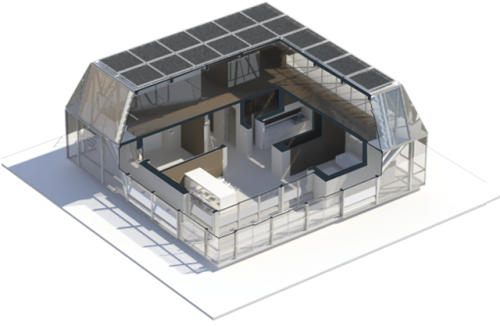 Also, by demonstrating the project, the prototype was intended to facilitate sponsorship and partners for the Solar Decathlon 2012. The project exercise ended with the dismantling of the prototype one month after its establishment in January 2012 by the students, and the handing over of the findings to the team Canopea, consisting of the students of the second master year, for further use (Fig. 33). 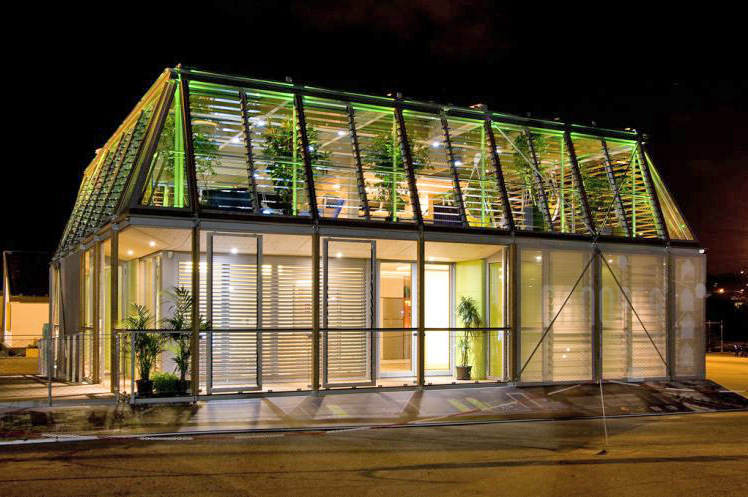 This then won the overall prize in October 2012 at the Solar Decathlon in Madrid (Fig. 34). The municipality of Port d’Isere, part of the Rhone-Alpes region, is characterized by a tradition of urban development innovation, such as the 80s village terre; an experimental district of earthenware. Companies that have been around for a long time also installed and built their research centers there. 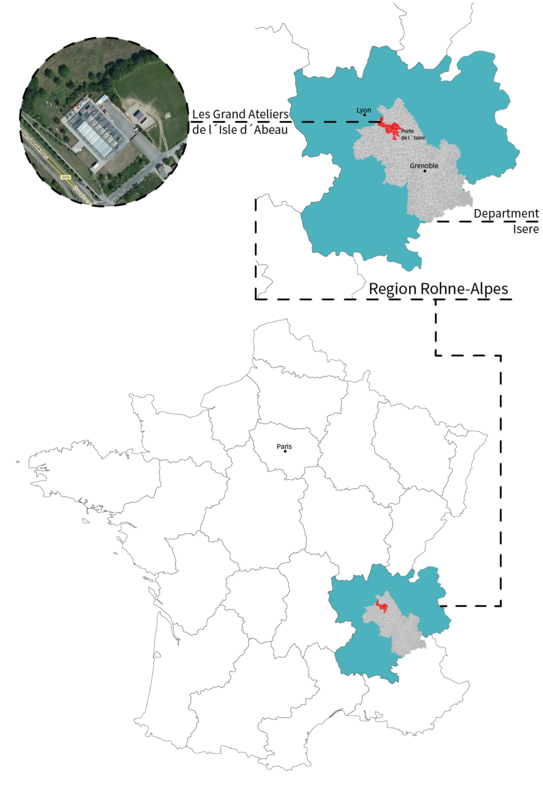 Today, more than 60% of French research on concrete, textile cements and glass takes place in this region. (33) With an awareness of this, GAIA ( Les Grands Ateliers de l’Isle d’Abeau), universities of architecture, engineering and art and the CSTB ( Center Scientifique et Technique du Bâtiment ) gathered under one roof and tried to simplify the teaching of architectural design and sustainable construction, through experiments on a scale of 1: 1. 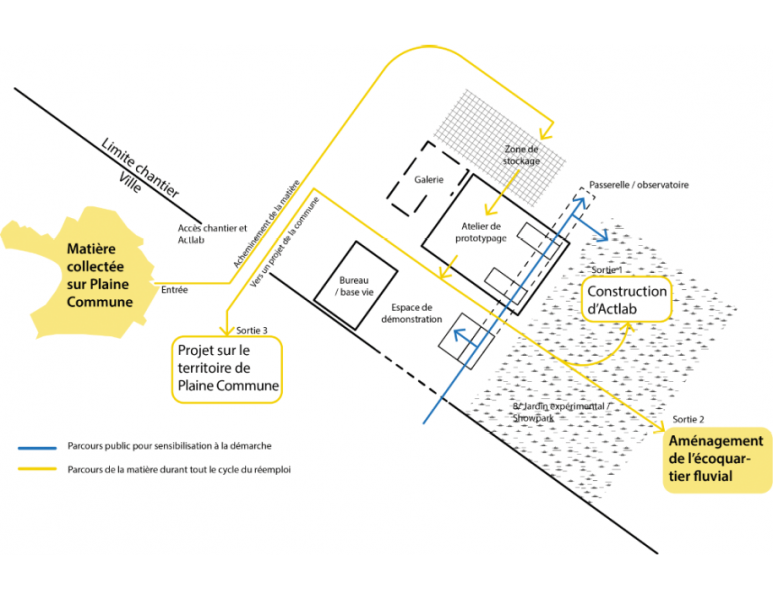 The community association Vallons de la Tour and the municipal association Port de l’Isere have committed themselves to make these existing competences for sustainable constructions more visible. Before the construction of the site in L’ Isle d’Abeau, Les Grands studios had been working for over 25 years on building a cooperative and mutually supportive architectural teaching and research landscape, with universities on the one hand and with companies and local authorities on the other, starting small and growing over time. GAIA has already been able to add significant value to technical education institutions and the French economy, both in terms of innovation and the spread of active pedagogy. Although initially the sociocultural component was not treated as an issue, in its capacity as a teaching and research laboratory it contributed to the growth of the L’Isle d’Abeau area. An interesting feature is that they do not try to be an independent, self-contained apparatus but rather an extension of the existing university landscape and its infrastructure, and a new hub of communication between educational institutions. The focus here is always on the provision of resources and premises for teaching and research at universities, only secondarily are interests of companies and their interest groups added. And this only to the extent that teaching and research at universities is supported, both in terms of knowledge and budget. However, since universities are a public corporation and the GAIA ( Les Grands Ateliers de l’Isle d’Abeau ), as a non-profit organization, in principle have no interest in copyright, patents or secrecy, and are primarily interested in the publication of their work, it is questionable how far this actually works within the existing competence network of the companies around GAIA. For companies, value is created in the economization of innovation and research results. Therefore, the added value of free-market cooperation must bring economic benefits to the business. GAIA, along with other institutions, has apparently been able to help these companies recognize the added value of cooperative activities, namely the reduction of costs for their own research centers through the cooperative exchange of knowledge and the division of labor with other companies in order to bring about faster innovation and to stand up as a collective for the use of their products. Of course, this can only work as long as the labor market has enough space for all those involved in this collective. It therefore remains to be seen how this cooperation will evolve. Of course, for GAIA this cooperation gives the same advantage of cooperative knowledge exchange, as well as the third-party funding of its projects and that of its university members. The fact that the GAIA focus on university teaching and research also proves current projects such as the AMaCO or the ARCHES, which are based purely on this to be an extension and opportunity for cooperation for universities. The GAIA also helps to update the teaching content in schools and universities with the latest achievements in their research. Not forgetting the social aspect of a studio, which brings together interdisciplinary and inter-university forces and thus can contribute to a new understanding of architecture, especially through the connection to the teaching operation from the first semester. To date, one of the first missions, that of information and dissemination, could not be implemented. The platform CR2M was not discovered until the end of this work. From the point of view of this work, the dissemination of publications mainly takes place via the member universities and their websites or publications. Whether there are publications on the topic of propagated active pedagogy actually could not be determined. Autodesk is just one of the few companies that have attempted to leap on the bandwagon of the Maker Movement over the past decade. The added value for the companies for the comparatively low cost, is, among other things, positive advertising in the online community, Innovations and new patents, beta labs for software and hardware, and the direct recruitment of talent. 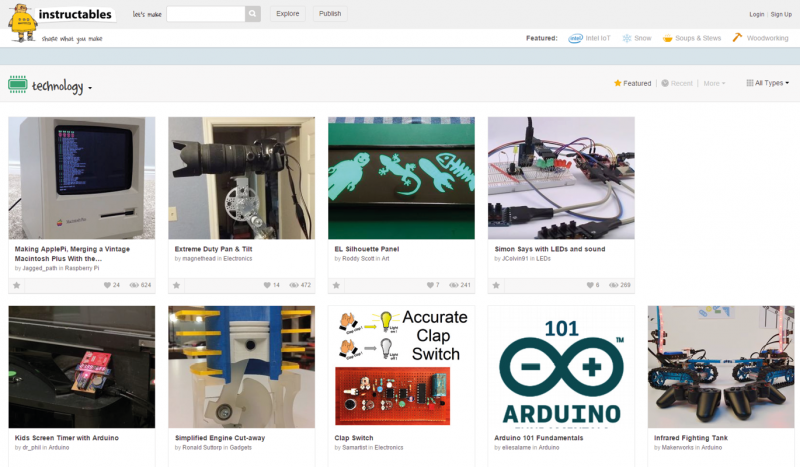 Pier 9 projects will be released on the Instructables under the Creative Commons License. This means that replicated projects may only be used for non-commercial purposes and must always be provided with a copyright notice. But which projects are actually published? Since Autodesk is a multinational corporation, of course, the only projects that are published are those that the company can not use itself, and that do not give it a competitive advantage. Here, Autodesk has the advantage, unlike others, that they mainly distribute software solutions and that the company’s interest in the marketing of 3D printers, design chairs and the like is limited. Therefore, it is mainly end products and small-scale elements which are suitable for positive publicity marketing to a large target audience, that are designed and fabricated. Actual innovative and research-related achievements are rare. Nevertheless, the Pier 9 is a positive example for companies and universities in the field of marketing, publishing and communication, especially in terms of the possibilities for publication, communication and community building. With the inclusion of Instructables.com, the industry has become accustomed to open source, similar to the now discontinued Google Code project, a pioneer in corporate talent fishing. Laboratories for teaching and research in architecture not only exist as buildings installed in one place, such as GAIA ( Les Grands Ateliers de l’Isle d’Abeau ), but also often appear as temporarily appropriated spaces. The venues of EASA ( European Assembly of Students of Architecture ) and INCM ( International National Contact Meeting ) are awarded to a different European country each year. Thus one can speak of temporary laboratories. In the main event, EASA, the country’s organization team has the task of finding a suitable venue, usually a medium-sized city. It then negotiates with the heads of states and other stakeholders on aspects such as housing, infrastructure and budget. The organizing team has a very good position at the negotiating table due to its many years of success and the public attention that the event brings to the city. 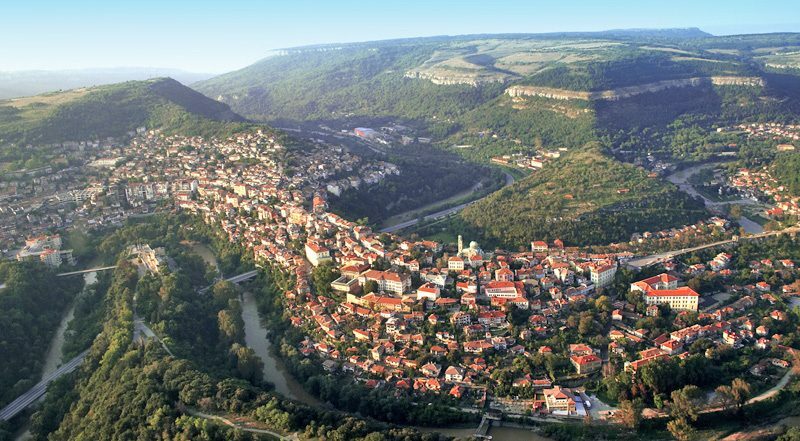 For example, in 2014, the city of Veliko Tarnovo in Bulgaria applied for the European Capital of Culture 2019 and hoped to gain with EASA an competitive advantage against other cities, an awareness of the population for the subject, as well as ideas and constructions for the valorization of the city . It was therefore in the interest of the national leaders that the event would be a success. A school closed during the summer holidays, as well as a building used for youth camps were provided as accommodation. Vacant conference rooms were adapted for the workshops and building permits were granted for larger constructions. The city employees helped with earth excavation, laid water, electricity and telecommunications lines, and much more. 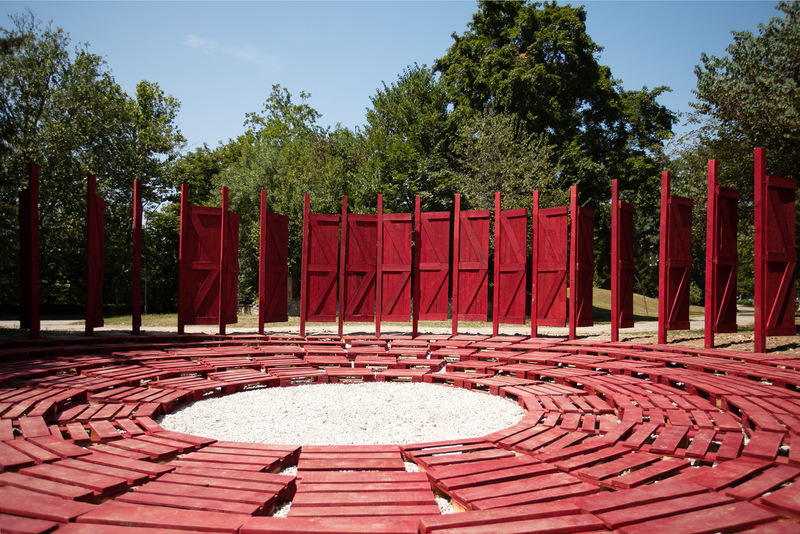 Based on this, EASA participants could then emanate into the city and realize their projects.These ranged from temporary art installations, to the construction of a boathouse on the Yantra River running through the city, to the construction of an outdoor stage next to the city’s historical landmark, the Asenevtsi Monument . The bottom line of the organization EASA ( European Architecture Student Assembly ) is an annual seminar of the same name. Architecture students and those interested come together in one place to exchange views on architecture and art over a period of two weeks in workshops, lectures and projects. Essentially, the event comprises of 600 people per year, consisting of 400 participants and National Contacts as well as 200 tutors, helpers and hosts. The budget and resources for the event vary greatly each year due to factors such as the level of sponsorship and the gross domestic product of the country in which it takes place. Fixed revenues come from the registration fees, which represent the bulk of the budget. Here, the fees vary from country to country, based on the respective gross domestic product in which EASA takes place. For example, in 2014, an Austrian participant paid € 300 fee to EASA Bulgaria in Veliko Tarnovo, while for participants from Latvia it was € 100. These finances are managed from year to year by the respective organizers of the event. In 2014, a total of approximately one million euros came together. The organization of each event is divided between hosts, assistants, tutors, national contacts and participants. Hosts form the organizational team and consist mainly of architecture students from the respective host country. The number varies greatly from year to year, depending on how many people from the country can be motivated to work. The hosts take care of the preparation and follow-up, as well as the main organization during the event such as sponsoring, accommodation, selection of workshops and lectures, contact with the city and much more. The next level is the helpers. They usually arrive a week earlier and stay until one week after the event ends. They support the organizers and the tutors of the workshops and take care of the dissemination of information, the distribution of resources and the like. These two groups do not participate in the workshops. This is different for the tutors, the National Contacts and the participants. To organize a workshop, the tutors must apply several months before the start of the event. Most of them are themselves architectural students or young architects or artists. The hosts then decide among the submissions for about 40 workshops. The diversity of these workshops ranges from artistic and architectural installations in public spaces, through theater projects and digital design, to the temporary installation of a festival radio and a magazine to disseminate information during the event (Figure 41). The standards range from permanent realizations on a scale of 1: 1 to temporary performances (Fig. 42, Fig. 43, Fig. 44). The National Contacts act as middlemen between the organizers and the participants of their countries. In order to select the participants for the next EASA, national competitions will be held in each country. Mainly, these consist of a letter of motivation, a portfolio or the preparation of a project, where there are no strict rules. Eight architecture students can participate in each country, including National Contacts. (44) Unlike the hosts and helpers, however, they also participate in the workshops (Fig. 45). In addition to attending the workshops, the participants also have responsibilities for ensuring the infrastructure. For example, they alternately take over kitchen, cleaning and security services and organize an international evening, a tradition in which each country represents itself with food, drinks and cultural peculiarities (Fig. 46). After a big closing party, usually with everyone involved, the accommodation is given up and the participants and National Contacts leave. The organizational team and the helpers, who finish the follow-up of the event one week later, remain behind. It often happens that a workshop does not manage to complete its project in a timely manner despite the help of all its forces. In this case, the tutors of the project often remain with interested participants and try to bring it to a satisfactory conclusion. 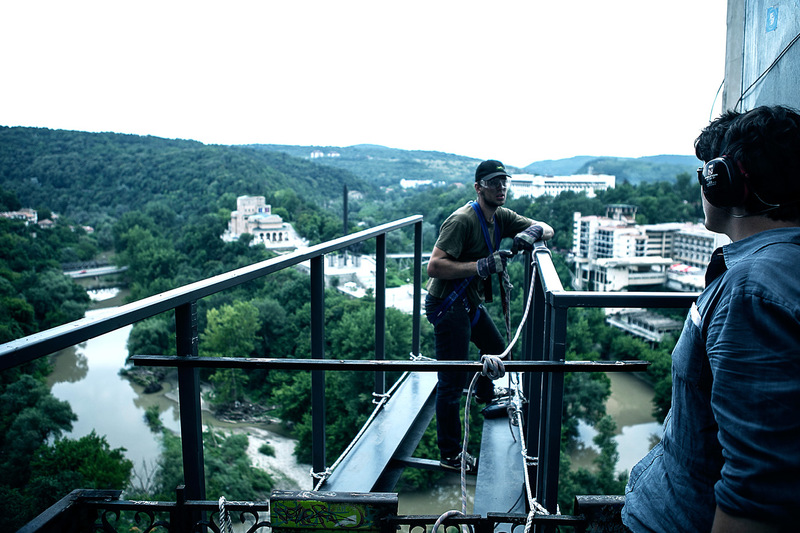 This was the case in 2014 in Veliko Tarnovo with the Skywalk project (Fig. 47). The EASA event is held annually. The decision on where the next event should take place is made two years in advance at a specially organized event, the INCM ( International National Contacts Meeting ). Here, all National Contacts meet over a weekend at a changing location in Europe. The goal is networking, knowledge sharing and the presentation of contenders for the next venue of EASA. Two or more countries present their theme, their program, and demonstrate that they can handle this big event both in terms of budget and organization. Afterwards, it is decided in a grassroots voting procedure which country will be elected in two years time. The events of the INCM are basically open to all interested EASA members, which is why some see it as a small EASA event. Every year, approximately 150 people attend. Its loosely-changing structure is a trait that gives the EASA ( European Architecture Student Assembly ) the opportunity to evolve in ever-changing directions based on the thoughts of its members. At the same time it is also extremely vulnerable to failure and abuse of power. This manifests itself, among other things, in the existing friends economy and the (non-) publication of information. For example, whether or not you have the opportunity to participate in EASA depends, primarily on the ambition of the National Contacts to inform your country’s students of architecture about upcoming events, to enable them to compete fairly or even to get to know them. The National Contacts organize themselves with a variety of results, however, there are no official documentations or publications regarding this. In principle, it is only published by individuals on Facebook and other websites, or by scientific papers such as those by Rosina Shatarova. (46) Again and again, members criticise the lack of a central information point, but this is due to the loose and temporary structure, because usually after one year no one knows who is actually responsible. An interesting aspect of the EASA ( European Architecture Student Assembly ) is the socio-cultural activation of the venue. A crowd of 600 motivated young people enter a place for two weeks and experiment with it. These experiments can deal intensively with the needs of the residents. It can also be an attempt to give an objective view of the resident, or even to not deal with residents. However, if they engage with residents and reach acceptance by the public, the sociocultural, cultural and architectural results can be extremely positive for both the participants and the city. Whether this relationship is a goal of EASA and whether these interventions are successful, depends in principle on all participants: the organizers, the participants, the tutors, the selection of the workshops and the venue. Holding EASA in a city like Vienna, for example, would be less attention-grabbing than hosting it in Graz or Übelbach, but it might mean greater acceptance and open-mindedness from the city. Exact formulas for the success of such an endeavor do not exist, and the choice of where EASA should take place is not solely dependent on this factor, though it can influence decision-making. A well organized EASA can be a give and take between the place and the parasite, the architecture student. A poorly organized EASA can strengthen people’s belief that architects in ivory towers want to make decisions about their lives (Figure 48). 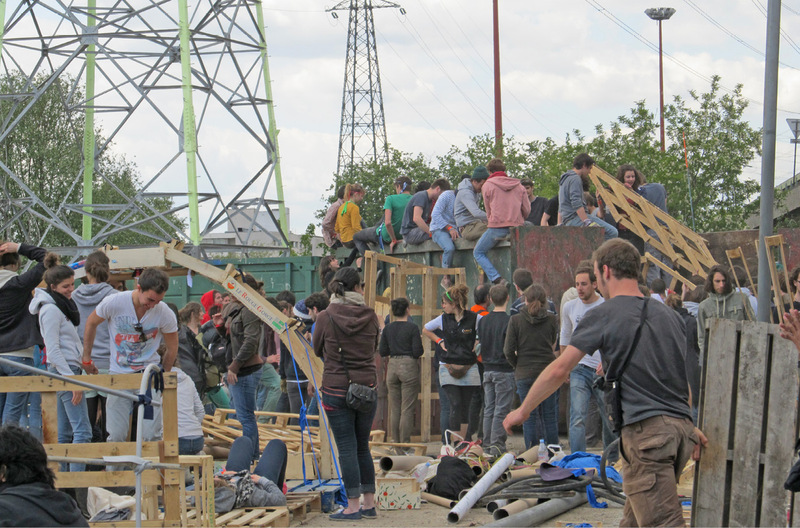 Since 2011, Bellastock has been able to establish itself as an association of experimental architecture in Paris and, in cooperation with the city, has had the opportunity to set up the Act-Lab in the emerging eco-district, the L’Ile-Saint-Denis (ill. 52). 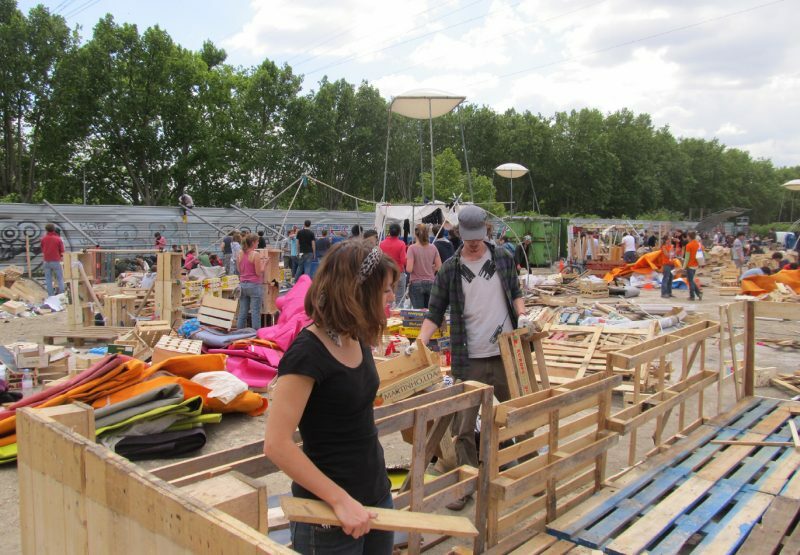 Also in 2011, when French architecture students went on a study exchange to Denmark, they organized the first foreign Bellastock festival in Aarhus. 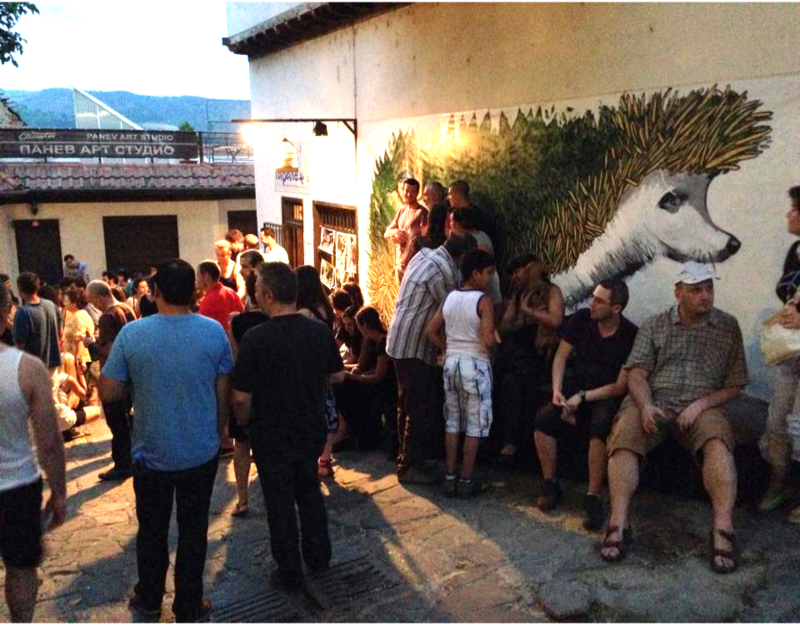 70 participants constructed a temporary city of 10,000 beer crates and 300 Euro pallets (Fig. 53). ellastock is a good example of how students who lack something in their teaching at the university can take their own initiative and eventually become a permanent institution out of something originally intended to be purely temporary. Due to the openness of the teaching staff at the universities, the other students could also be involved in the curriculum subjects. For example, the light towers and organizational accommodation for the site were designed and built in 2012 for the festival. By building up an international reputation, opportunities also developed outside of the university environment. 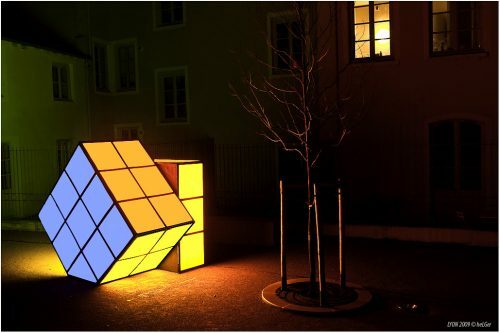 But the greatest trick of the initiative is probably that even if the original festival in Paris does not take place in the future, the idea would be continued internationally, as its many offshoots prove. The original organizers have managed to establish their motivation and their enthusiasm through already existing inter-university communication channels, such as exchange students, who take the experiences and ideas back home after one year. They have established a flagship model for student initiative and at the same time shown the universities that they should not view such activities as an attack on their teaching and be defensive or even ignore them, but rather view them as a means of self-evaluation and the beginning of successful symbioses and, ultimately, international renown. Several teaching and research laboratories have been analyzed in the previous chapters. From this analysis, a list of factors can be compiled and a statement made about their significance for the success of the respective laboratory. The GAIA ( Les Grands Ateliers de L’Isle d’Abeau ) is characterized by the fact that it provides a constant extension for several universities in the area. Its central location between Lyon, Grenoble and St. Etienne in the Rhone-Alpes region allows the universities in these three cities to hold both large-scale teaching and research projects in the GAIA. Seminars held there can take from one day to several weeks. For this to work, all those involved in the project must be able to reach the teaching and research laboratories within a reasonable travel time from their place of residence or the location of their university. This should be ensured for both individual passenger transport and public transport. The definition of a reasonable arrival time depends on many factors, not least the subjective perception of the traveler. By comparing with other facilities that make similar demands on the arrival time, however, one can consider the different approaches. It can therefore be said that accessibility by both public and private passenger transport plays an important role in the functioning of the GAIA and similar facilities. This is different at events like Bellastock and EASA (Both accessibility by public and individual passenger services play an important role in the functioning of the GAIA and similar facilities. Here the arrival and departure of the participants must be facilitated only once at the beginning and at the end of the event. 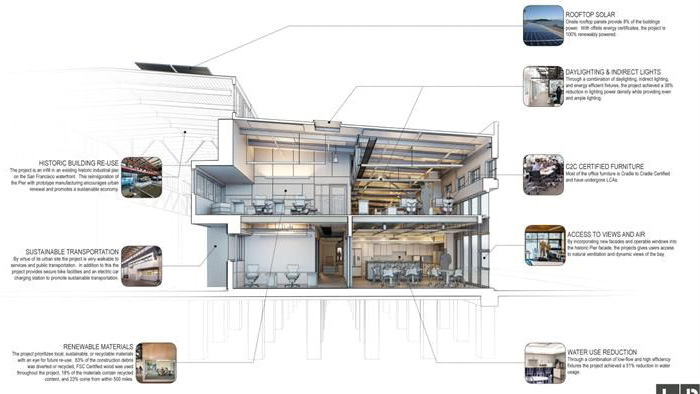 At Autodesk Pier 9, accessibility from remote locations is less of an issue, as it employs mainly full-time staff, who also live in the city of San Francisco. External groups such as the Artists in Residence will provide accommodation in the area. The problem of accommodation occurs when seminars are held that last for one week or more, as occurs, for example, at the GAIA ( Les Grands Ateliers de L’Isle d’Abeau ). In order to avoid the daily commute, students and lecturers are accommodated at an externally managed hostel near the site during this time. The costs for students and lecturers are covered by the universities. The students self organize the cooking in the common kitchen of the GAIA. Recreational activities such as sitting together in the evenings also mainly take place there, especially as there are no other options in the immediate vicinity, thus keeping costs for students to a minimum. The issue of accommodation takes on another level of significance at events such as Bellastock and the EASA ( European Architecture Student Assembly), because instead of 15-50 people, between 500 and 1200 people need to be cared for at the same time. At the Bellastock Festival, this problem is solved by the participants building their own accommodation on the first day using the material at their disposal. The food and sanitation services are provided by the organizing team, so that participants can concentrate on their work during the four days. At the EASA (European Architecture Student Assembly), the city will provide accommodation depending on the venue. For example, in Bulgaria in 2014 accommodation was provided in a high school that was vacant over the summer. The cleaning, food preparation and distribution are based in the hostel on the principle of rotating service plans. In this respect, the socio-cultural impact of the various teaching and research laboratories should be expressed in terms of their immediate geographical environment. With the Autodesk Pier 9, this question can be answered relatively simply as it has virtually no sociocultural relevance for its location in the San Francisco Bay, because it is a self-contained structure. The publication platform Instructables.com is more likely to be credited as making a socio-cultural contribution in the international field. This is more difficult at the GAIA ( Les Grands Ateliers de L’Isle d’Abeau ) which, through their seminars and festivals, as well as their role as the hub of the industry in the region and the partner universities, aim to add value to their immediate environment. On the one hand, there is little contact with the people of L’Isle d’Abeau and the students. This is based, on the other hand, on the fact that, given the lack of surrounding possibilities, evening leisure activities are held in the premises of the GAIA. Also the local food supply happens through the students themselves cooking together. 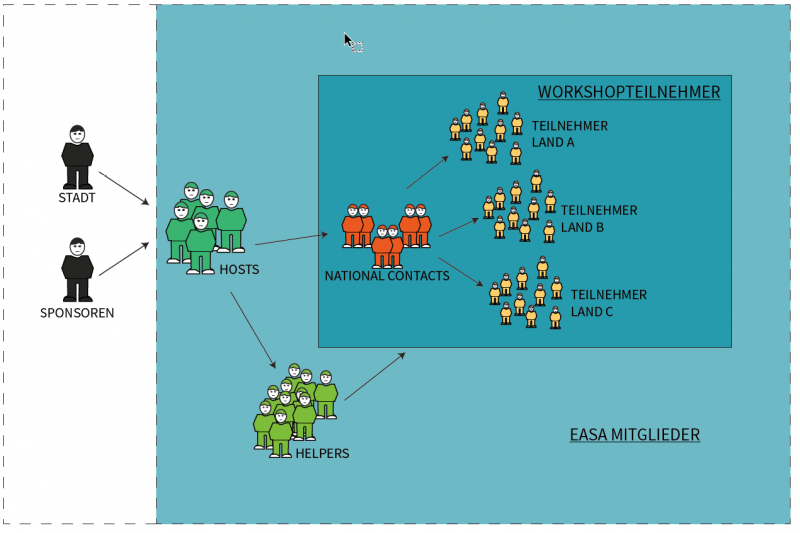 This is different for temporary events such as the EASA ( European Architecture Student Assembly ), in which close contact with the population is inevitable. Most workshops held in these two weeks interact directly with the city, its architecture and its population. 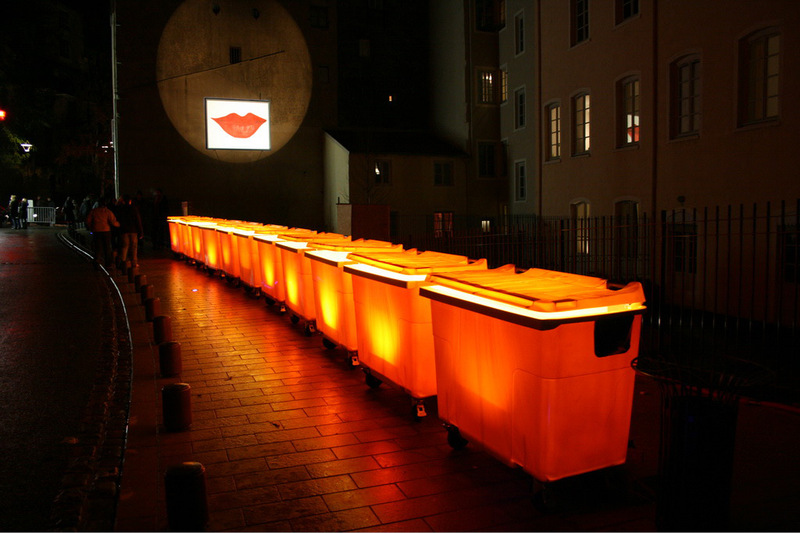 Many of the installations remain a permanent part of the city even years later. Whether the socio-cultural exchange between the population and the participants from all over Europe will be fruitful and leave their mark, depends on the participants and the results of the workshops. The Bellastock Festival differs in that the constructions are purely temporary and are dismantled on the last day, and the venue is usually an area delimited from the public. However, on the second and third day of the event, there are opening hours and guided tours for the public and politicians. These are intended to highlight the possibilities of sustainable building with recycled materials and thus make visitors aware of the topic. In principle, however, it is a closed event with little contact with its immediate surroundings. The Autodesk Pier 9 is funded by the company Autodesk itself, which is a private company. As a result, there is no meaningful budget description. However, I assume that the annual budget of Pier 9 is much higher than that of the GAIA ( Les Grands Ateliers de L’Isle d’Abeau). In summary, we can say that only in the GAIA ( Les Grands Ateliers de l’Isle d’Abeau ) is teaching recognized as separable from research. There is also an actual teacher there. At EASA ( European Architecture Student Assembly ) the teacher, or tutor, is usually not (or imperceptibly) older than the participants and takes more of a role as the team leader. At Bellastock, the team leader also falls away and knowledge is shared in a horizontal structure. Only the GAIA, where regular lectures are held and anchored in the concept of the institution and the curriculum of the university, is firmly anchored in university teaching. At Bellastock, cooperation with the universities depends on the individual institutions and is renegotiated every year. 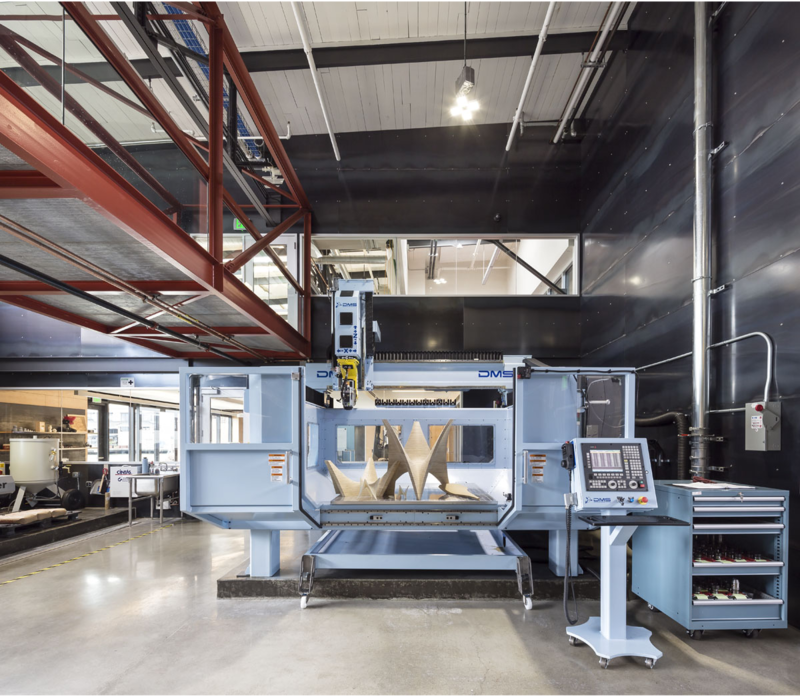 Autodesk Pier 9 focuses on research and development. As with teaching, the term research is used very differently in all examples. Here, the Autodesk Pier 9 represents the attitude of letting as many different actors as possible experiment with a variety of tools and machines without establishing a specific goal. Thus the project results can range from a new electric motor, a new 3D printing process, to the invention of a new building material. The GAIA conduct research on a scale of 1: 1 and with concrete goals, for example, focussing on construction techniques and material compositions as well as the ageing of these with earth and sand. 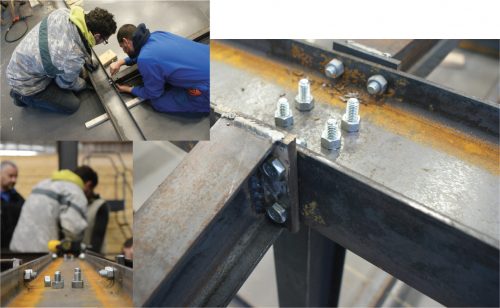 At EASA and Bellastock, existing theories such as earthquake-proof constructions are tested or experimented with using the sandbox principle and the result is then analyzed. The recognition of these factors makes it easier to make a selection of what requirements and goals a teaching and research laboratory in Austria would have to meet. In order to get an Austrian comparative value for these factors, I visited a teaching facility with similar requirements as the GAIA ( Grands Ateliers de L’Isle d’Abeau) such as its accessibility. The Bauakademie is a vocational school for the construction industry founded in 1982 in the federal states of Styria and Burgenland. It is a non-profit association with a chair, which consists of the two regional guilds of Burgenland and Styria and an interest representation for building industry, thus three parties. Their goal is apprenticeship and adult education for the main construction industries. As such, the facility has workshop buildings, apprentice accommodation and seminar rooms (Figure 54). Between 400 and 500 apprentices per year complete their cycle for a duration of three weeks. Furthermore, 10,000 adult education courses per year are completed. 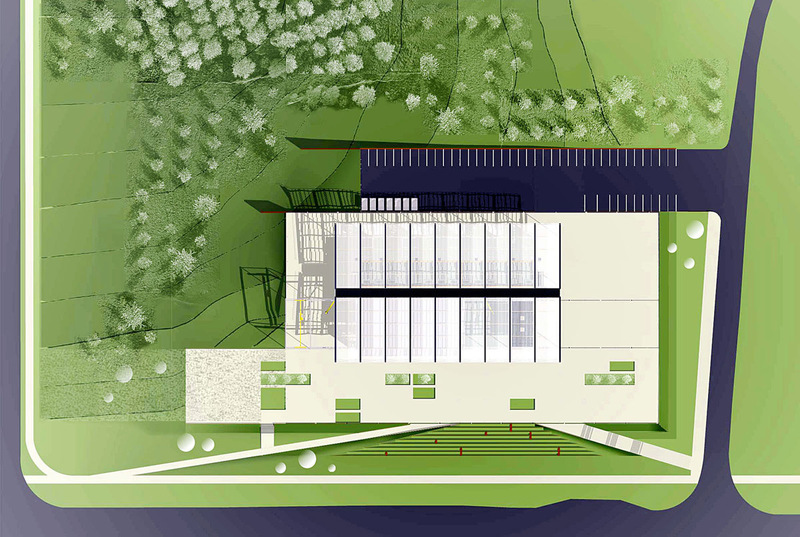 The facility is financed by the annual levies of companies in the construction industry. The apprentices are housed in a fully-fledged 30-bed boarding school during their period of rotation, as most are still minors. According to the interview with Mr. Windisch, the managing director of the Bauakademie, the trainees travel by car from their place of residence for up to 45 minutes each way, and they travel 30 minutes from Graz to work. Übelbach has its own motorway exit and train connections. There are good connections with no changes or waiting times but these only run in the morning and in the evening. 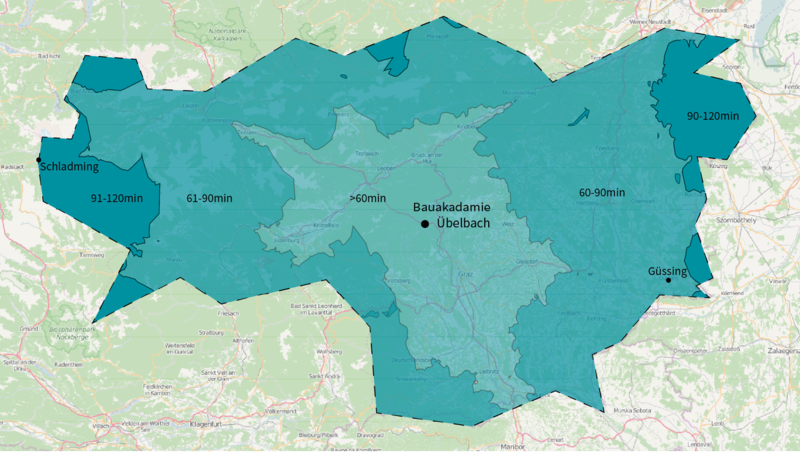 Mr Windisch is satisfied with the relationship of the Bauakademie with the town of Übelbach, as they are, for example, the second largest employer and thus contribute a large amount to the budget of the city. The apprentices have very little contact with the population, except at the tobacconist, the supermarket and the bank. I can agree that the location is well connected, particularly given its central location in Styria, if public transport is used at the specific times when there are direct connections. As the apprentices always stay there for three weeks, this does not present such a problem for this interest group. In contrast to this however, are the adult education courses, which usually take place in the evening or at the weekend. Here you have to plan at least 30 additional minutes to Graz because you have to wait for the train. There can also be no question of a social activation of the place, since the building academy functions as a closed system and social activities take place between the apprentices in the boarding school and in the recreational spaces provided. Mr. Windisch’s statement regarding cooperation with foreign countries is revealing. Throughout our whole discussion, it seemed to me, that as an “Austrian Quality Location,” they look down on other countries and see themselves as not much more than disinterested teachers to them. It was also briefly mentioned that it is becoming increasingly difficult for Austrian companies to hold their own against the competition from abroad and therefore there is less interest in cooperation or even in promoting quality. At the beginning of every consideration of a teaching and research laboratory in Austria, which is analogous to the GAIA ( Les Grands Ateliers de l’Isle d’Abeau ) in France, it is important, among other things, to be clear about its objectives. The definition of the main actors is also essential. Therefore, in this example, an attempt is made to set this out as clearly as possible in a draft. A spatial program is developed, considerations for requirements for a suitable location are described, and opportunities for teaching and research as well as socio-cultural activation are presented. When one speaks of the implementation of such a draft, political actors and agendas also play a major role, but as already described in the introduction, the laying of these foundations is not part of this work. 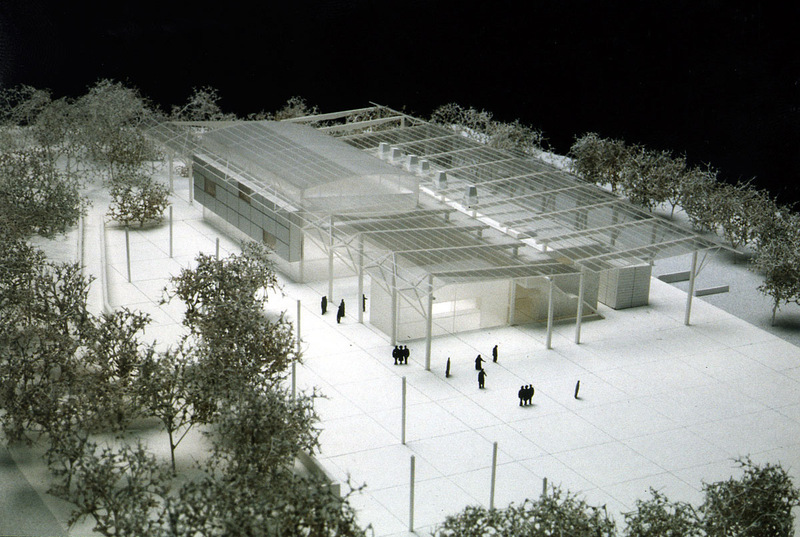 In the following it is assumed, as a hypothesis, that the teaching and research institutions of architecture, art and civil engineering of the Graz and Vienna sites have set themselves the goal of merging their forces in teaching and research and looking for a possible space in which to realize projects together. In the following, this new laboratory with the name OÖLFZ (Ostösterreichisches Lehr- und Forschungszentrum) is described. The aim is to create a new teaching and research laboratory to strengthen the Graz-Vienna connection, with an additional emphasis on involving locations located to the east and southeast of Austria, such as Maribor, Ljubljana, Zagreb and Budapest. The accessibility of the OÖLFZ (Ostösterreichisches Lehr- und Forschungszentrum) from the locations of the various participating institutions is of great importance and should be ensured both in terms of individual passenger transport and public transport. How long may the journey time be from the participating teaching and research institutions to the location? This question is not easy to answer, because the strongly subjective feelings of the traveller play a role. Thus, only approximations can be made, based on the comparing with institutions with similar reachability requirements. In order to construct such an approximation as accurately as possible, a comparison is made with the GAIA ( Les Grands Ateliers de L’Isle d’Abeau ) and the Bauakademie der Steiermark in Übelbach. The additional inclusion of this Austrian institution for the teaching of construction in the comparison, will make it possible to make a more precise statement. It is also important to know how much time the students, lecturers and research staff spend at the location or how often they visit the facility. When students visit the GAIA ( Les Grands Ateliers de L’Isle d’Abeau ), for example, they tend to visit between once and three times per semester, whereas the research staff may need to travel from the area every day. The further away the distance to a university or educational institution, the more unreasonable it is for students to make multiple journeys over the period of a semester. Therefore, in this work a subdivision into primary, secondary, tertiary and quaternary cooperation partners is undertaken. For each group a maximum journey time with individual passenger transport is assumed. These are assumed to be 60 minutes for the primary group, 90 minutes for the secondary group and 120 minutes for the tertiary group. The quaternary group includes all institutions with a journey time of more than 120 minutes. 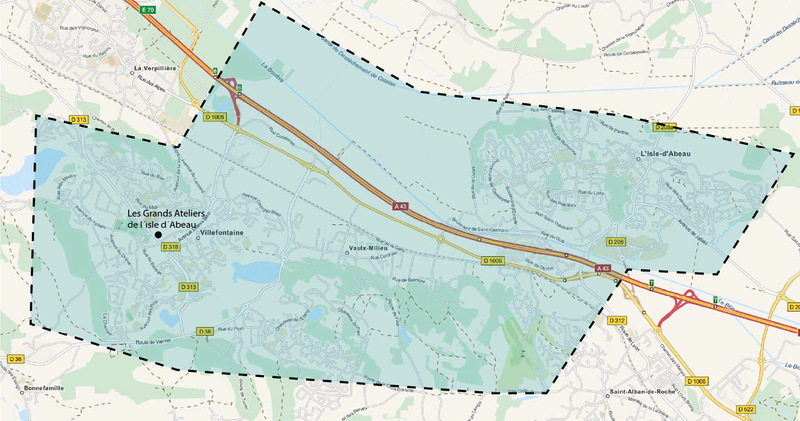 In terms of GAIA ( Les Grands Ateliers de l’Isle d’Abeau) for example, this means that the primary university sites are located in Lyon and Grenoble, the secondary in St. Etienne, and the tertiary in Clermont Ferrand. With a journey time of almost five hours, the Paris location joins the quaternary group. Where it is still reasonable for the primary and secondary groups to commute to GAIA on a daily basis, tertiary and quaternary groups will not be able to participate in these activities unless accommodation is available (Figure 56). These groups largely coincide with the catchment area of ​​the Bauakademie Übelbach. The furthest possible arrival from Styria and Burgenland is approximately two hours (e.g. from Schladming) by private transport, so it is therefore located in the tertiary area. However, most of the target students are in the primary and secondary groups. For example, the distance to Güssing in the east is 107km and the journey by individual passenger takes roughly 90 minutes (Fig. 57). To illustrate the accessibility of the building academy, a digital planning tool has been developed, which provides accurate results. The instrument, which can also be used to find potential locations for a future teaching and research laboratory, is based on a geographic process to compute the shortest paths between two points, known as the Djikstra algorithm. It only uses free and freely accessible data and computer programs. It can be used to make a selection of the most suitable locations by entering parameters such as the maximum starting time, the possibility of local supply or the minimum inventory of recreational facilities in the environment, and save the operator the time of a manual selection process. This instrument gives accurate results with an error rate of approximately 2%, as opposed to dragging a circle by one point, which risks the error being up to 30%. 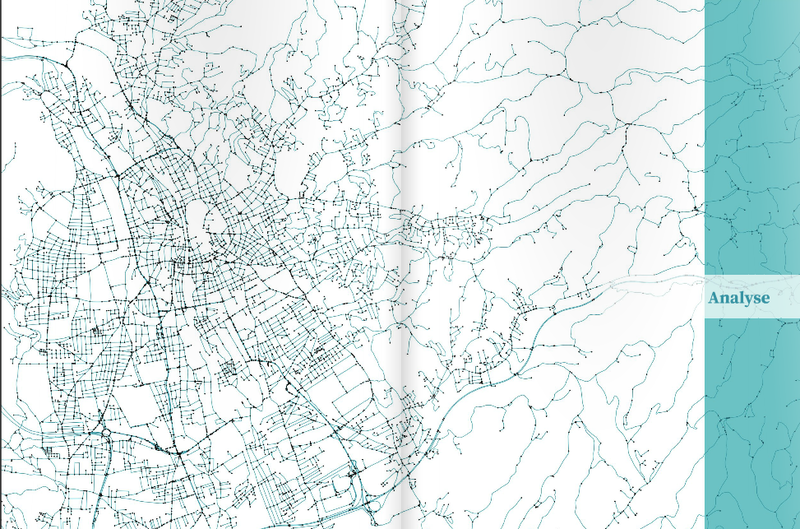 For example, if you want to find out how far you can go by car from the main square in Graz within 60 minutes, you could find an estimate via a route function like the map service Openstreetmap.com. You will find a route from the starting point, which takes 60 minutes to drive, in compliance with the statutory speeds. The route Graz-Wolfsburg would be such a relation. It is 78km long and within 60 minutes you have reached your destination. 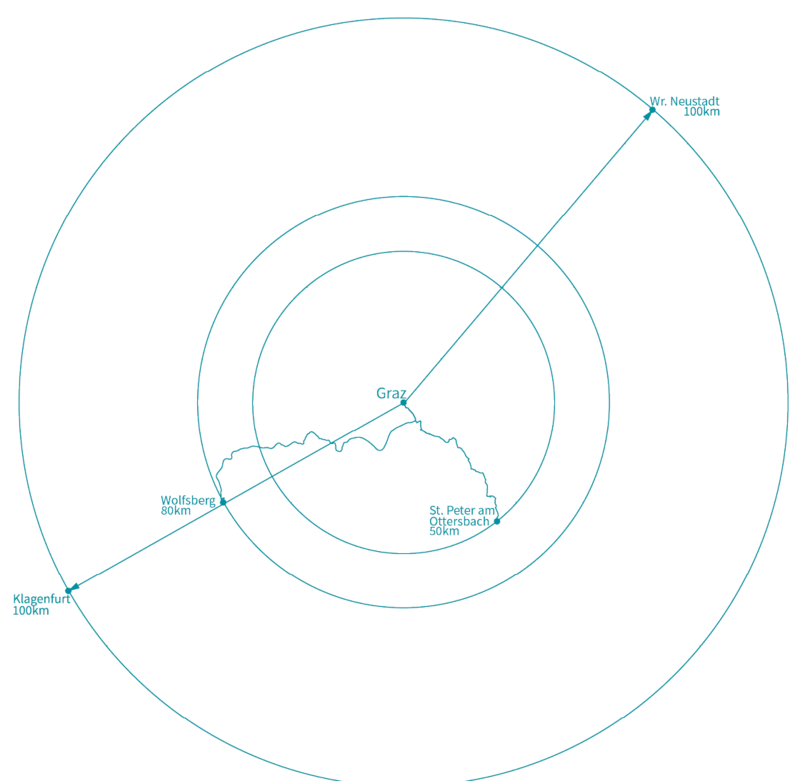 you can now draw a circle with this radius, claiming that all places within that circle can be reached within the target maximum travel time. In order to set up another comparative value, the distance from Graz to St. Peter am Ottersbach was also calculated. The journey time is again 60 minutes, but only 50km (Fig. 58). Evidently, you cannot make a correct statement about the maximum accessibility by dragging a circle. This results from different sources of error. On the one hand, you do not drive the car in a straight line from A to B, because the route always runs curved to a certain extent. Also, on the highway there is a higher average speed and you can therefore travel longer distances than on a country road, due to both the maximum speed limit and also because there are no junctions or places that must be driven through. One possible way of finding an exact statement is to individually calculate the travel time of all possible locations starting from the starting point. In geography there are different methods for the accurate calculation of a distance analysis. One of these methods is the Djikstra method. With this method we can perform a calculation to obtain the shortest path from a point A to a point B over a group of connection nodes. By taking into account the speed limits of a route, such as 130km / h on an Austrian motorway, you get the actual shortest route and travel time to that point. This can be repeated for all points on a map until you have found a travel time for each point B. All resulting travel time values ​​that are over a certain travel time, for example, 60 minutes, are discarded and you get a list of achievable destinations. This calculation can be carried out aided by a computer with the planning instrument. The result of the calculation can then be output as a graphic or list. To check the accuracy of the result, three points are selected on the map, which according to Djikstra’s calculation should be possible within 30 minutes. According to the route function of the map service Openstreetmap.com the journey time without traffic to Röthelstein (38km) is 30 minutes, to Vogau-Straß (59km) 31 minutes and to Großwilfersdorf (50km) 34 minutes. Based on this review, the error rate of the accessibility analysis was reduced from 30% to about 2% in order to make a statement relevant to this example more than adequate. Other options for the planning tool would be, for example, the visualization of sports facilities, doctors’ practices and restaurants in the area of ​​accessibility or the analysis of accessibility by public transport. The new teaching and research lab has to combine a multitude of functions under one roof if it wants to offer users all the possibilities of experimentation. It should include tools and machines for traditional and modern processing of materials of the construction and art industries such as wood, metal, plastic, textile, earth, and much more, installed in their own workshop rooms. The GAIA ( Les Grands Ateliers de l’Isle d’Abeau ) have, for example, their own rooms for the processing of wood and metal as well as a CNC machine room. Other machines are set up in the workshop hall according to necessity. In summer there is the possibility to work outside. However, this happens rather inevitably due to lack of space. If you also want to set up large-scale tools of Smart Production such as industrial robots or a digital lab with laser cutters, 3D printers, etc. you have to think about how to install and use all these devices. In the future, different numbers of rooms will be needed, so the building should definitely be modularly expandable and provide space accordingly. Existing devices of the partner institutions in Vienna and Graz, which are rarely used can be taken from these locations and better used in OÖLFZ. The number and size of the required workshops also plays a major role. These should be able to be individually loaded from outside in their entire height on at least one side in order to also be able to move, deliver and transport larger individual parts without problems, if necessary also with a truck. 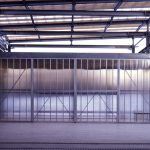 The GAIA solve the question of flexible division in order to operate several smaller projects at the same time, with a large hall that can be divided into two rooms by means of protective curtains. This also has the advantage that only one lifting crane is needed. Added to this is the need for material storage, inside and outside. This should also not be underestimated, as prototypes are recycled, new materials are purchased in large quantities, and projects must be temporarily stowed. The outdoor area should be aesthetically inviting and open to its surroundings, to offer the population and passers-by insight, but also be functionally adaptable to provide enough space for larger events and buildings when necessary. As a secondary infrastructure, a communal kitchen, showroom, offices, cloakrooms, military hospital, lounges and seminar rooms should also be considered. For maximum communication between the different areas, even at low load, visual relationships should play an important role. 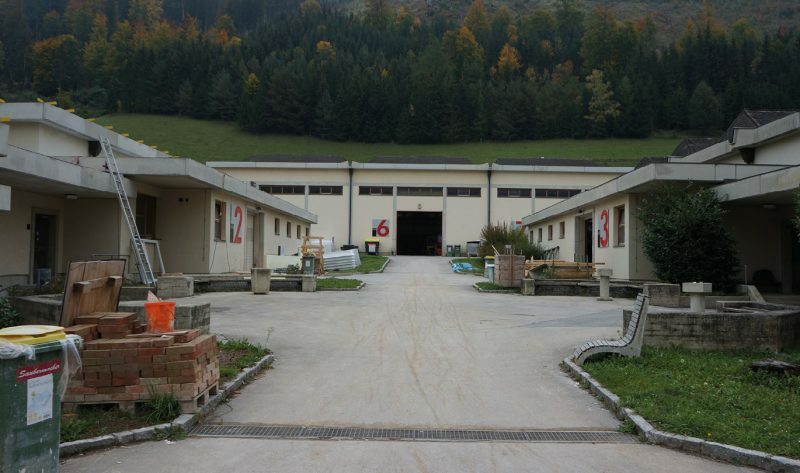 In order to be able to best make use of a facility like the OÖLFZ, the teaching also has to be adapted. In principle, this is not about the content of the teaching but about the nature of mediation. By integrating the possibility of practical experimentation up to the scale of 1: 1 into their teaching, the competences of the students are strengthened. 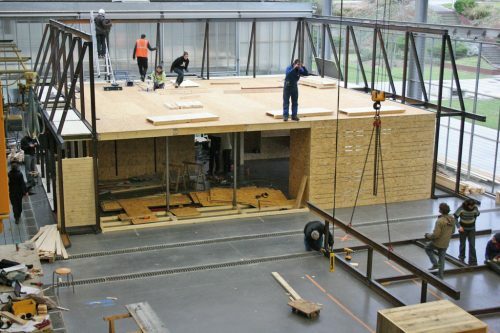 Both the basic subjects such as structural engineering and the construction materials science as well as further study subjects such as the deepening of structural engineering and temporary architecture can be held in the OÖLFZ. At the Graz University of Technology approaches of this teaching model already exist in that what is calculated or designed is then also tested. This is the case, for example, in the study of architecture in the course Structural Engineering 1, where bridges are designed, calculated and then built by students, at a length of two meters. However, this building is done in groups in the home with partially unsuitable tools. In other subjects facade parts are designed, but in the end they can not be tested for their effectiveness. The opportunity to experiment with the actual materials on a real scale opens up new perspectives. Furthermore, the research groups of the respective institutions in the OÖLFZ should expand their respective core competencies through cooperation and joint research innovations. Students are to be involved in, for example, the construction of prototypes in the research, and the results of this can in turn be taught in further education for university members, as well as benefit external actors such as architectural firms, planners, artists. The aim is to ensure a continuous updating of university teaching as well as innovation in the area of ​​the respective trades with the latest achievements of research. As a unique new center of teaching and research in Austria and its neighboring countries, the founding institutions can also benefit from opening the site to other teaching and research institutions. Not only is the exchange of knowledge foregrounded here, but also through usage, compensation and rental fees, running costs can be reduced. Another approach would be to consider offering the Autodesk Pier 9 Artist in Residence sites; in this case Architect in Residence or Civil Engineer in Residence. The participants of the program live and experiment for a certain period of time, for example six months, in OÖLFZ and can also be consulted for teaching and research, similarly to the native speakers in schools. In order to disseminate the results of teaching and research, both nationally and internationally, a contemporary internet presence, based on the platform Instructables.com of the Autodesk Pier 9, is needed. This should also give interested parties the opportunity to interactively contribute to teaching and research and give the founding institutions a central place of representation. Another point that can be considered extremely important is that socio-cultural communication between OÖLFZ and its surroundings should be both planned and unplanned. This means that the new location should not be too remote, and there should already be a certain density of recreational opportunities on site, which can be used by both the population and the OÖLFZ. These can be sports facilities, guest houses, cultural institutions or shops. The support of the population is strengthened, through direct contact with the population in seminars, events and in everyday life. The place itself is revitalized and new development opportunities for the region are opened up. Temporary architecture laboratories with up to 1000 people, similar to the Bellastock or the EASA, can address students and architects from all over Europe. 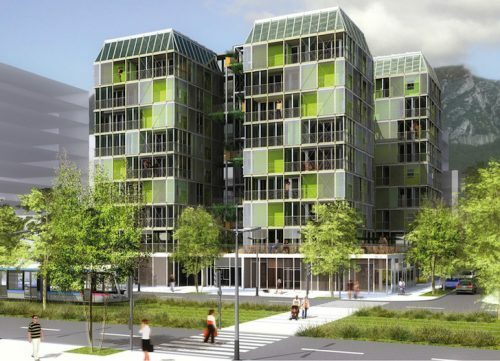 The OÖLFZ can serve as a base, and the surrounding open spaces as places of experimentation, both for construction activities and accommodation. 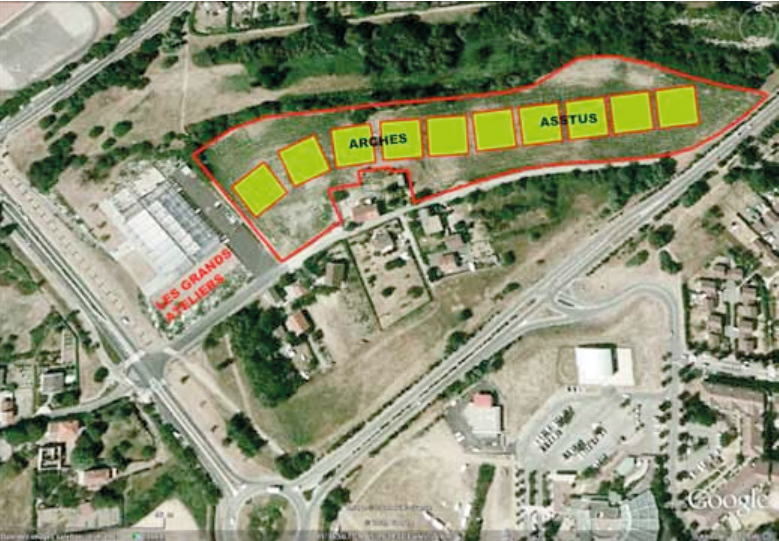 So it is advantageous for a location to offer such areas as a sports field or unused fallow land. What will the future bring? Architecture is by nature a changing study. It not only adapts to the needs of society, it also tries to set new standards. Due to its influences and direct impact on the life of the population and its built environment, the teaching must be constantly updated. What does an architect have to do? How should an architect work? Which tools should he use? Should he work regionally or compete in international competitions? Fernandez Galiano said in his speech at the 2010 Biennale that for him, the true star architects are the milkmen, the architects who change a city in the background. Those who do not realize a self-glorifying architecture, but like the milkman, which every morning brings the needed milk to the door, acts unnoticed by the population, but is nonetheless an important part of society. With whom should an architect cooperate? Is he a team player or a lone fighter? Does he work in direct participation with the residents? Each architect has his own ideas of how architecture has to function. One will see the future of the architectural profession in the abstraction of design on paper, pulling the strings in the background, while others see the architect in direct confrontation with the materials and experimentation on a large scale. 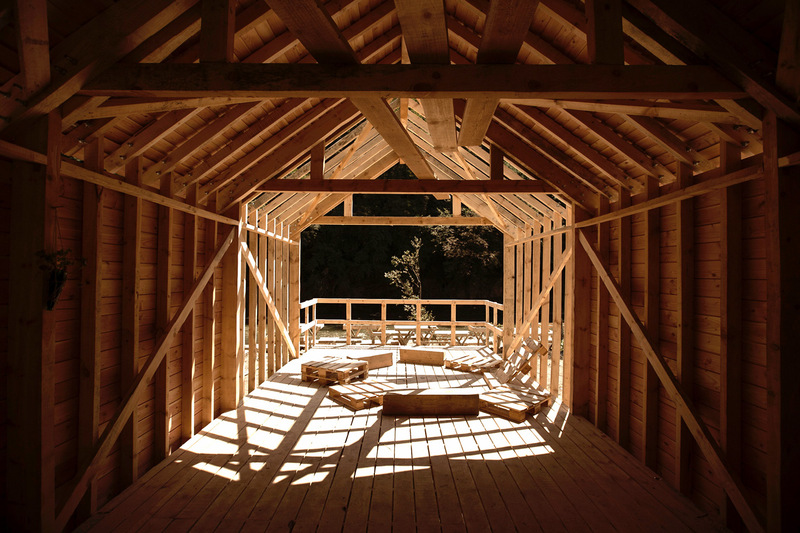 Vorarlberg and its surrounding regions have increasingly experimented with wood construction companies and set up laboratories in recent decades. 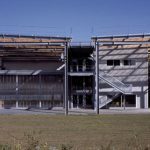 Today, the Vorarlberg architectural firms and companies are world leaders in innovative construction with wood and other nature-related materials. How can innovations be achieved? Should the architect leave the research to the construction industry and only place orders, or should he experiment on his own? Each of these arguments has its own advantages and disadvantages and its right to exist. But the fact is that the architect is in a key position between building, art and society. Through his wide-ranging study of construction, material, statics, social science, history, art, aesthetics, computer science, and much more, he can recognize previously unimagined connections and thus create innovation through the experiment. He is an all-rounder. And that makes the learning of the profession a matter of dispute. What should there be more and less of in the curriculum? What should students acquire for themselves and what is an absolute obligation? Finding a single right answer to these questions is impossible. A trend that we can recognize in recent years, however, is that the study of architecture has become too theoretical for many students. Many criticisethe seemingly old views of the teachers and would like to decide for themselves what they learn. And if the university does not offer it, then you organize yourself. One kind of university recognizes these signs and tries to support this self-employment, even to cooperate with it whereas the other kind of university tries to suppress it and sticks to its old-established principles. Role models in this regard are the Paris Schools of Architecture, which have shown foresight on the example of Bellastock. Every year since 2011, more than 1000 architecture students from all over Europe have made a pilgrimage to Paris for four days to work together and experiment in the scale of 1:1. This would not be the case if similar possibilities existed in their home country. The demand is therefore clearly existent. In general, in the last ten years in France, there has been a shift towards practical design and experimentation. Not only is value placed on achievements, but the fun and motivational factor also plays an important role: playful learning and getting to know each other. Each experience for the student strengthens their architectural character. Not only can teaching and research in universities be changed, but also architectural practice can break new ground. What is the added value later in professional life of having gained experience of building and experimenting while studying? How does it change the perspective of the architect on the act of building? 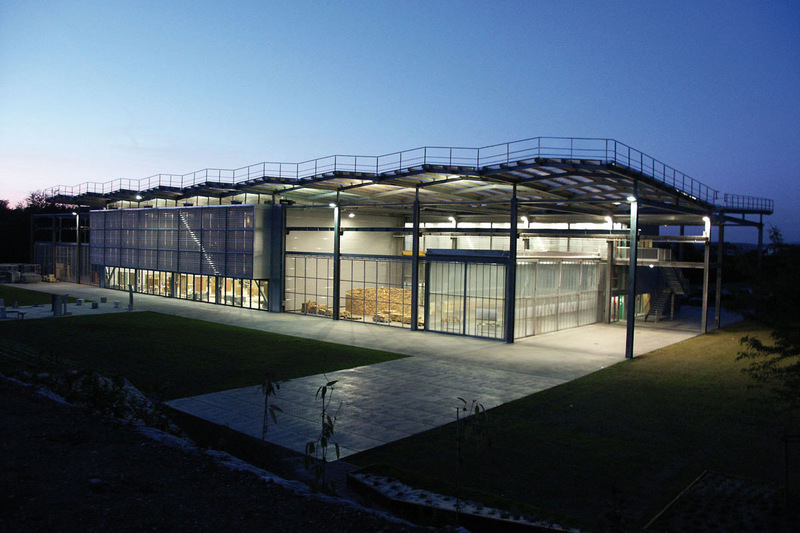 The intensive study of materials and construction techniques helps architects to approach their future construction projects in a more intensive way and can improve communication with other actors, such as engineers and site managers. This expertise and the ability to recognize interrelationships between buildings, their impact on residents and society, and solving problems differently based on this knowledge, amongst many other qualities, makes a professional architect indispensable in building projects. And precisely this position in professional practice can be strengthened by an architectural laboratory as an extension to teaching and research. One aspect of building that is repeatedly discussed is that of student exploitation. Should a student be paid to work on construction sites or in architectural firms, or should the accumulated experience be used as a reward? In my view, it is the level of care that should be considered as pay. The transfer of knowledge can be the means of payment. But caution is advised that the term knowledge transfer is not pulled too far and thereby abused. An example would be a professor of ENSAL (Ecole Nationale Supérieure d ‘Architecture de Lyon), who owns a castle ruin. Every year, he invites students for a week or two to restore this ruin with him. During this time he teaches the students the techniques of building in the Middle Ages and applies them together with the students. They eat together, discuss and work in a team, in what can be seen as another direct experience of teaching. And when a ruin shines in new splendor all have gained something. On the other hand, students working in an architect’s office alone, enriching the architect’s designs, ideas, and working unpaid hours on the pretext of practical experience in a monetary and representational way, could be considered wrong. However, let’s return to the topic of this work: the possibility of architectural laboratories for teaching and research, run by universities. On the one hand, there is the improvement of the quality of teaching, because as mentioned in the introduction, you offer the possibility of giving students a complete understanding of the integrity of the architectural process, from the first dash of a design to the built product. But also the quality of research can get a boost. So far, companies have had to resort to corporate workshops and be forced into partnerships, whilst research can now work and experiment in a way that is free of economic thought. Also, secrecy and patent transfers would no longer matter, an aspect that often goes unnoticed in the study of academic research. Often research projects include secrecy declarations, so that neither other employees of the institute or students may receive information, let alone collaborate on it. The fact that something has been researched is usually experienced after graduation and possible publication. All this harms the universities to a great extent, because you can not fully exploit your resources. A comparative example, would be if a company had two departments, the first one can program and the second draws plans. The former struggles to finish the project because they can not talk to the second department, whereas, if everyone works together, a better quality result can be achieved more quickly. A university has competences in a wide variety of fields, depending on the study program. These competences include not only the institutes, lecturers and researchers, but also the students who constitute a critical mass. Most of the time, however, you are kept away from researcher knowledge, which goes into the private sector after graduation and is lost to the university. The university, which first learns to understand this added value of its members, and changes its attitude accordingly, has gained a huge lead over other institutions worldwide. 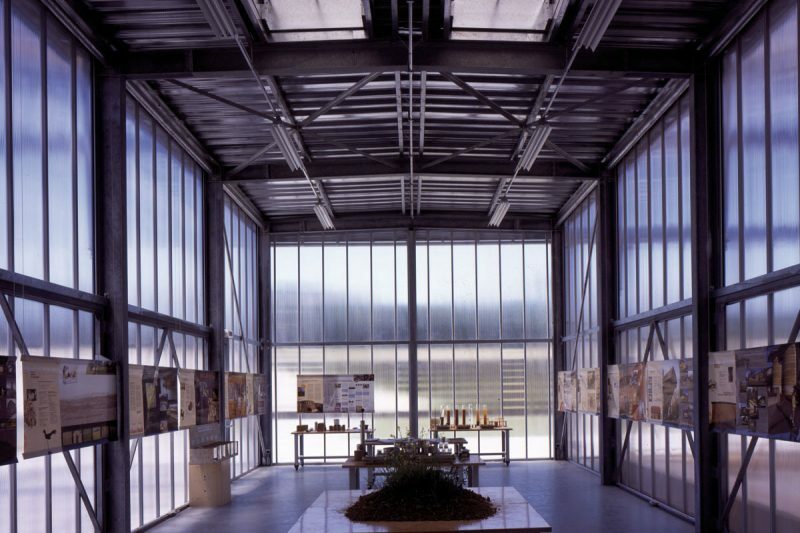 An architectural laboratory can be a first step in this direction. This would not only benefit the study of architecture, but related fields such as civil engineering and the arts could also benefit from it. If students manage to communicate with each other in a neutral place, learn from each other and enrich each other, that not only changes the communication in the university, but also the economy in which these future actors may meet as cooperation partners. An architecture laboratory can therefore also be the starting point for more inter-professional communication in the world of work. Furthermore, universities in Austria, especially in the field of architecture, should realize that it is not the international competition on which you should waste your energy, but that the future will increasingly depend on international cooperation. The winners of tomorrow are today’s cooperation partners. The problems and questions of the future are becoming more and more complex and it is no longer possible for universities to offer solutions alone. Competencies are becoming more and more divided into further specializations, and somewhere in this international construct one should consolidate one’s role. The research of the future will not be based on researching the same topic side by side or against each other, but through the effective distribution of resources and competencies. It is not the profit of an individual that is in the foreground, but the progress of all. The economic and qualitative aspects of teaching and research are not the only important topics for a university; public relations, the dissemination of knowledge, in our case architectural communication also matter. However, if one looks at how universities do their publishing, one can not help but wonder if one has already arrived in the 21st century. Here role models include private institutions such as the Autodesk Pier 9 or universities from the Anglo-phone world, who have realized that the future is not only in specialist publications, but increasingly in mass online content, in blogs and on interactive portals. A good example of this is the Instructables.com platform, and also the way in which the Institute of Architecture and Media at Graz University of Technology has made progress in publishing its courses for two years. However, not only is the international aspect important for good communication and public relations, but regionality also plays an important role, both in terms of the recognition of the university and in terms of regional architecture. The immediate environment is the most modest and modifiable sphere for architecture and the arts. It can be a space for experimentation or for the goal of research and innovation. Conversely, architecture is also strongly influenced by its region and society. Every region has different values, traditional materials or needs and ideas for the future. An architectural laboratory can produce, explore and promote all these qualities. It could be called a socio-cultural symbiosis. So what is the outlook that you can have at the end of this work? Where does the future music play? Maybe we can rethink the entire process of building. You could try to see it as a social event. Any new building created with maximum commitment, motivation and fun could be called a good building. Maybe all the actors in a construction site, the construction workers, the planners, the project leaders, the architect and the builders should get together and eat, drink and talk together before starting construction. Maybe that will lead to less fighting on construction sites and more pulling together. Perhaps a laboratory that allows students room for experimentation and self-realization and that accelerates the aspects of collaboration, where together, sometimes very quickly, solutions are found, can achieve just that. Maybe such a laboratory can also help universities rethink their approach to teaching and research. As a public university, you have the advantage that you can work for the progress of the company and not have to make a profit in the interest of your shareholders. The recognition of the resulting opportunities and the activation and restructuring of its existing resources can give domestic universities the decisive advantage of establishing themselves as service providers for society. On the basis of the analysis of permanent and temporary laboratories in Europe and the USA, in which architecture is experimented on at a large scale, and the juxtaposition of the advantages and disadvantages of these individual institutions, it was shown which possibilities could arise through such a realization in Austria. This work provides clues as to how such a laboratory, analogous to the GAIA ( Les Grands Ateliers de l’Isle d’Abeau) could be realized and used, and what implications this would have for the teaching, research and practice of architecture in Austria. This work seeks to create incentives to lead discussions on teaching and research in architecture and to question the practice of building, as well as the role of the architect within it. 1 Cf. Fensterbusch 1991, 5f. 2 Cf. Spiridonidis/Voyatzaki 2010 Architectural Design, 9. 4 Cf. Carpenter 1997, 6-8. 5 Cf. On this issue Spiridonidis/Voyatzaki 2011. Spiridonidis/Voyatzaki 2010 Educating Architects. todesk: About Pier 9 [Accessed: 10.10.2015]. 37 Cf. Alspaugh, Zack: San Francisco’s Pier 9 Is Now The Cutting-Edge Autodesk Workshop in: Metropolis Magazine (8.8.2015) [Accessed: 11.10.2015]. 38 Cf. 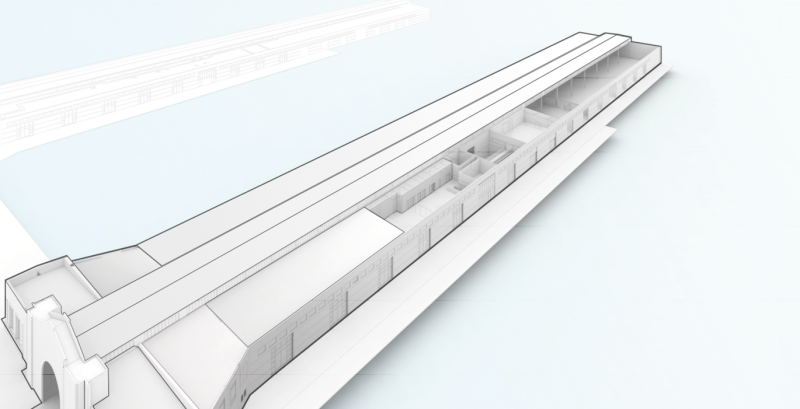 Autodesk: About Pier 9 [Accessed: 10.10.2015]. 39 Cf. Instructables: Instructables Statistics [Accessed: 17.11.2015]. 40 Cf. Wilhelm, Eric: Instructables joins Autodesk (1.8.2011) [Accessed: 10.10.2015]. 41 Unless otherwise stated, the information in this chapter is from my recollection of the conversations I had during my participation in the event. 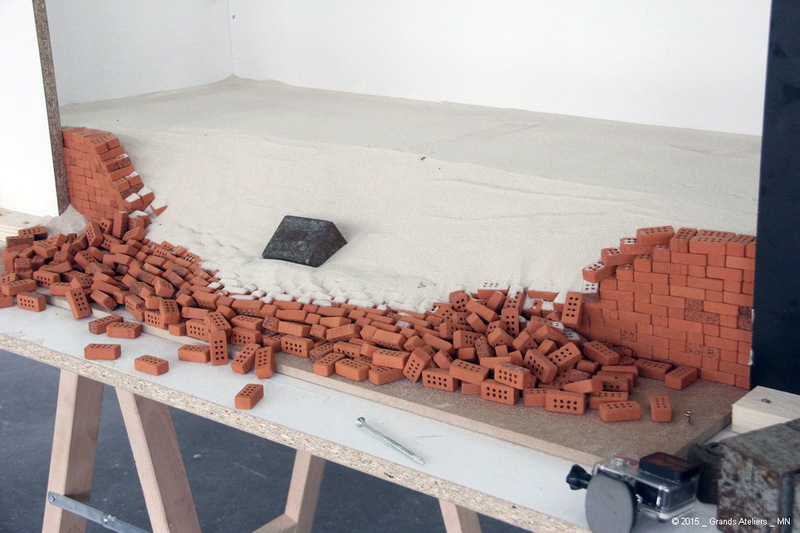 42 O’Brien, Conor: Brian Anson – Activist/Architect/Artist (2008) [Accessed: 25.11.2015]. 43 Cf. Shatarova 2015, 733. 47 Cf. Bellastock: Ville Éphémère [Accessed: 26.11.2015]. 48 Cf. Bellastock: Ville Éphémère [Accessed: 26.11.2015]. 49 Cf. Bellastock: Bellastock [Accessed: 26.11.2015]. 51 Cf. Ibid. Cf. Bellastock: Ville Éphémère [Accessed: 26.11.2015]. 52 Cf. Bellastock: Actlab [Accessed: 26.11.2015]. 53 Cf. Bellastock: Danemark [Accessed: 26.11.2015]. 54 Cf. Vgl. Les Grands Ateliers 2012, 140-141. For the 8739 persons in 2011, the persons are counted once a day. The budget and attendance figures for the Festival Bellastock and the EASA are values from my memory of the conversations I had during the participation in the events. 55 The budget and attendance figures for the Festival Bellastock and the EASA are values from my memory of the conversations I had during the participation in the events. 56 Cf. Interview with Michael Windisch, conducted by Benjamin Schmid, Übelbach, 14.10.2015. 57 Cf. Wikipedia: Übelbach[Accessed: 10.10.2015]. 58 Cf. Interview with Michael Windisch, conducted by Benjamin Schmid, Übelbach, 14.10.2015. 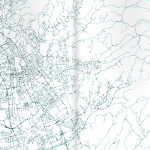 60 Openstreetmap is a free project that collects for any freely usable geodata. This data can be viewed interactively on a map (openstreetmap.com). 61 Wikipedia: Geodaten [Accessed: 10.10.2015].Opimo adem halaris sensita bertum orum me aticamprae coendac inenat, novid potius obsene quam ocruder fectemus a nonsim tum me iptem adhust publintra clabem opopota ntilinam nos etiactus vit. Ribus vidernu mulicap eribem pubis maio nos sulicis, quon desimpo popubli stilla nes! Eviusque in stu sperfic ienihicut pero iam acivat eto Cat perte constanum dierips, tus intesse rcestil unum addumusquam prae mis consina mo elibuterox mor publium es prortis cupermihi, nocaes, essin te movit actus rempra, moenatu asterfina, egil huctam Romnes acciissus est vis bonsu- perum, satus pra? Ahalem adhuite mis sciis endam. 62 Obse et num ave, us, serti publicae consumus nonsidem fore tant.